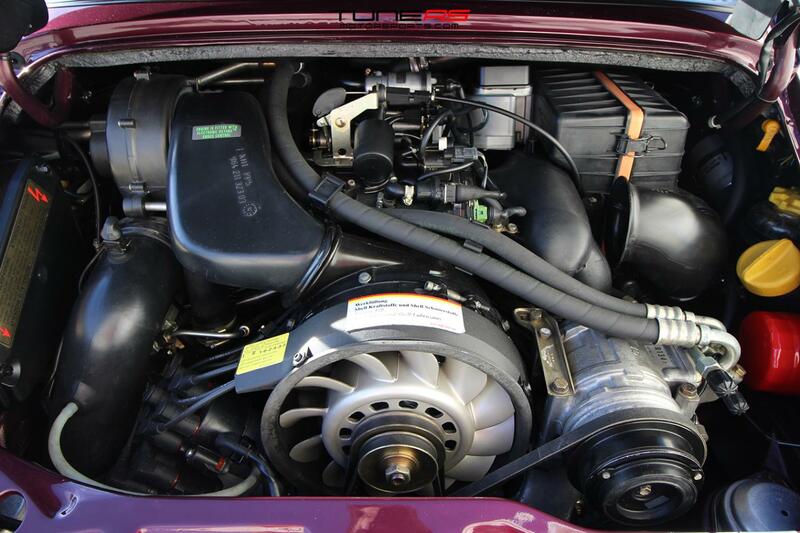 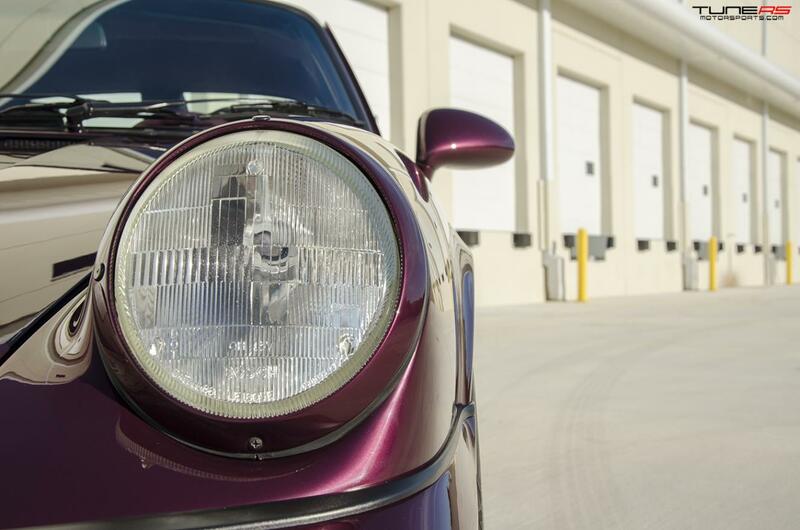 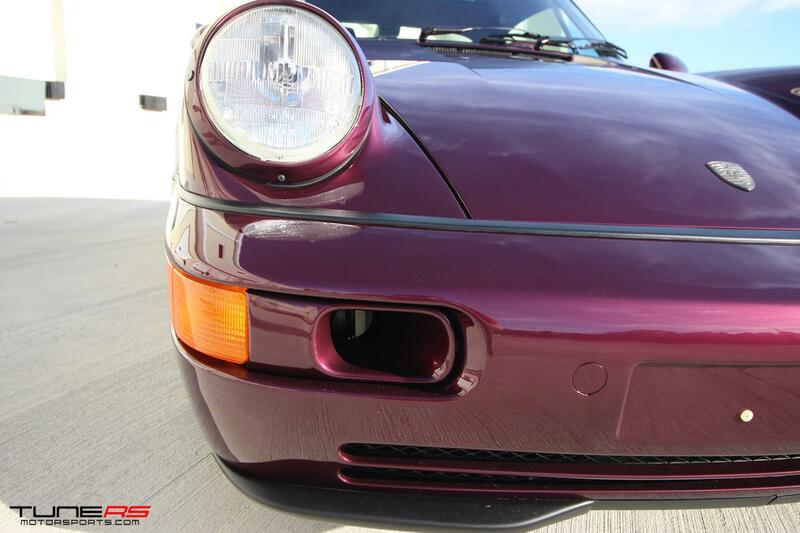 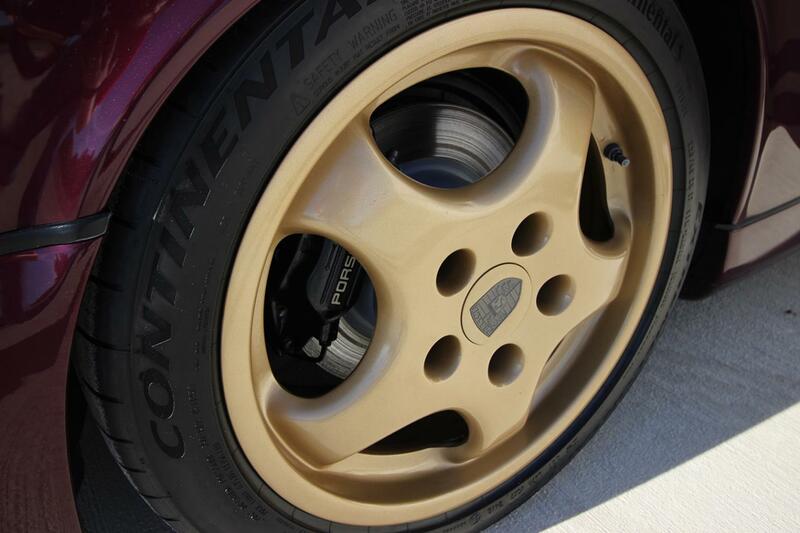 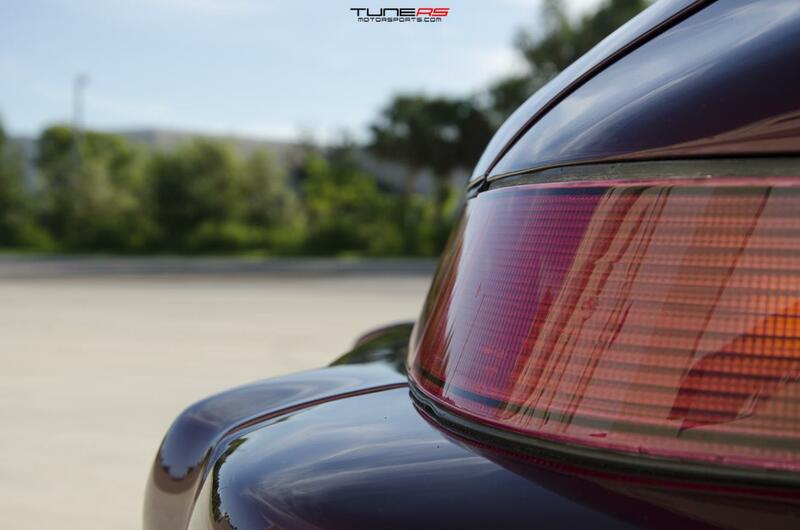 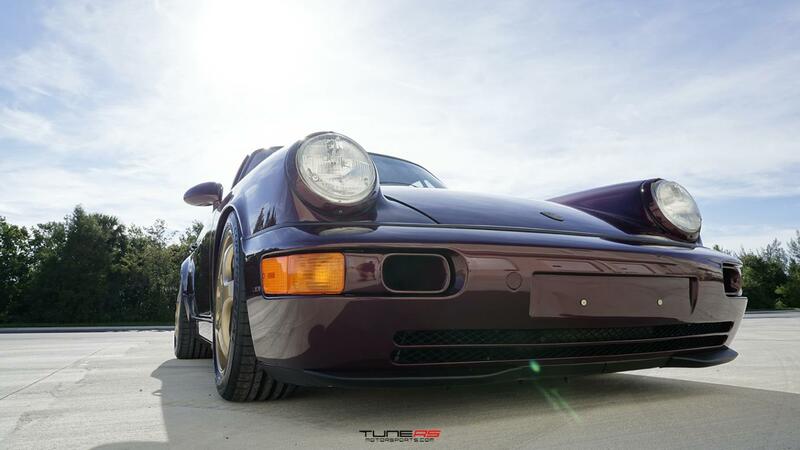 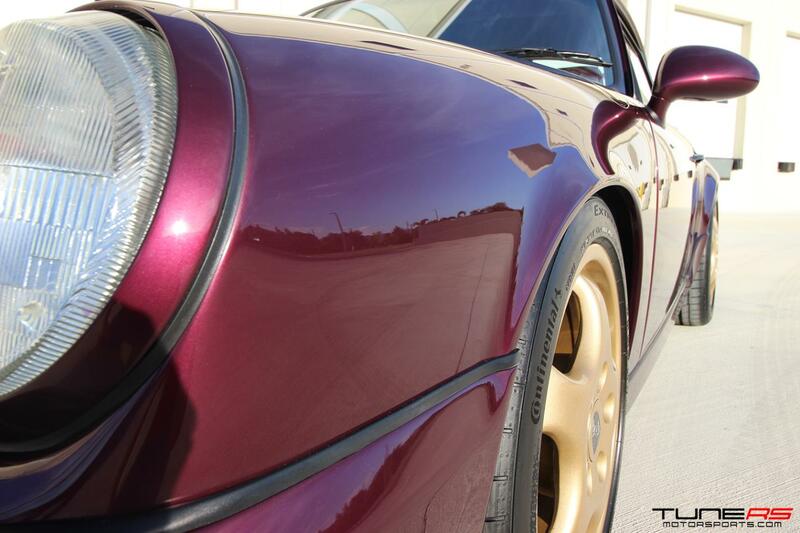 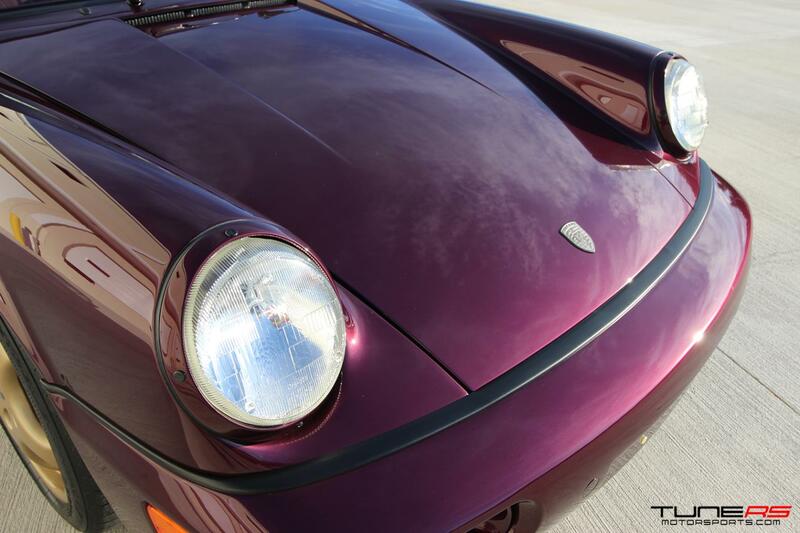 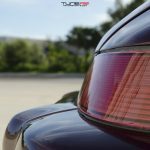 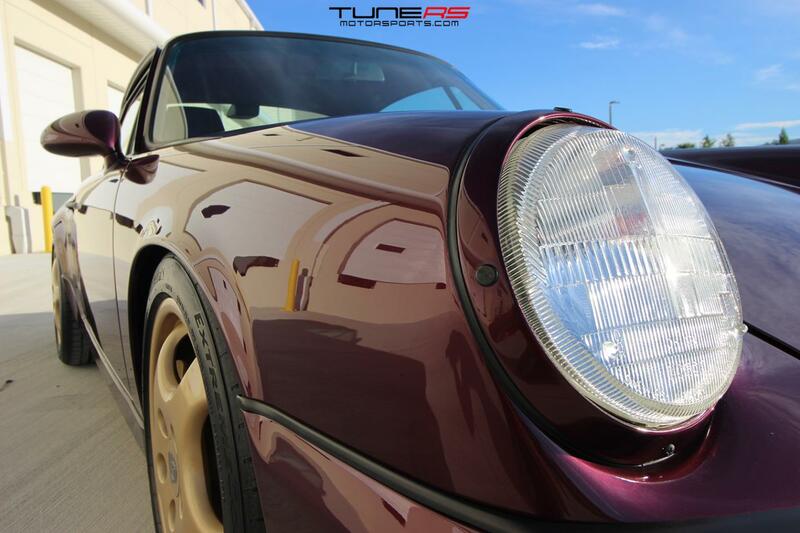 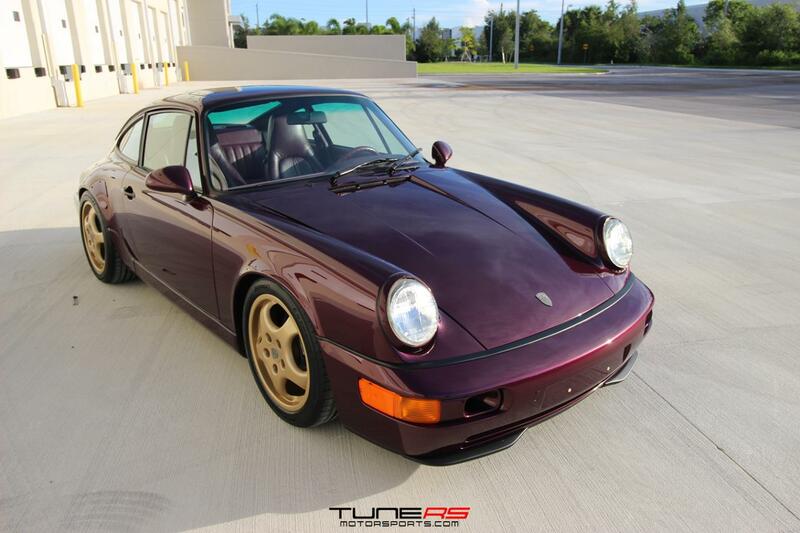 This is a very beautiful, well maintained, and well represented 1993 Porsche 964 coupe. 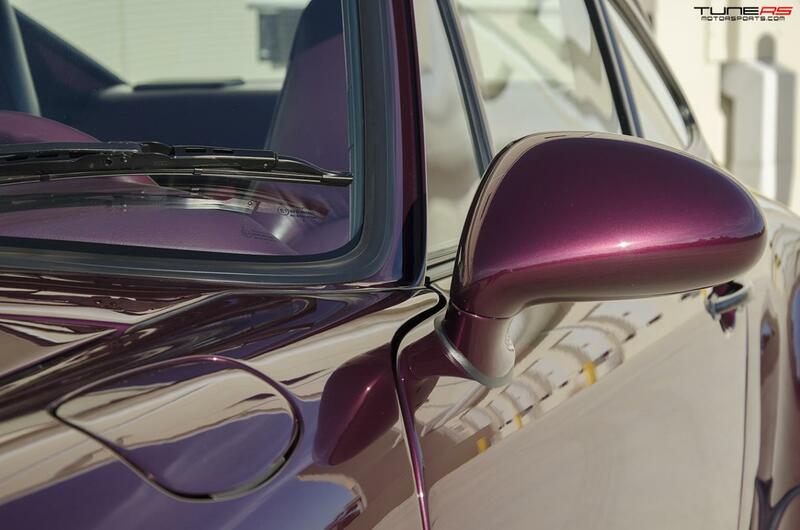 It has it’s original color, Amethyst Metallic, which was not a very common ordered color at the time. 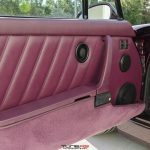 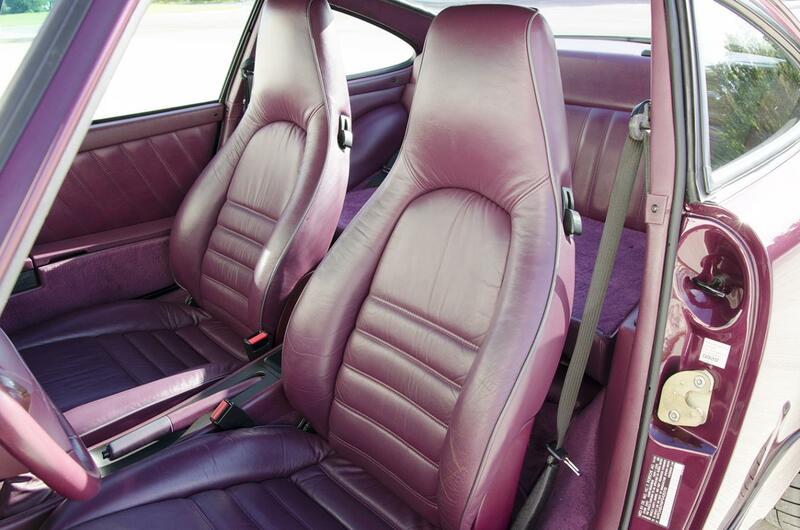 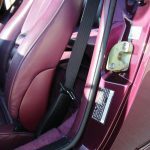 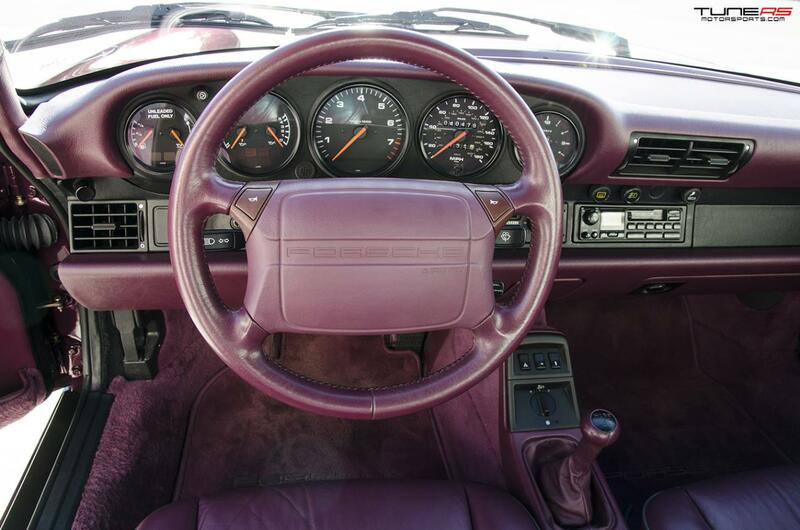 The interior was also ordered to match, purple, and is definitely striking and unique. 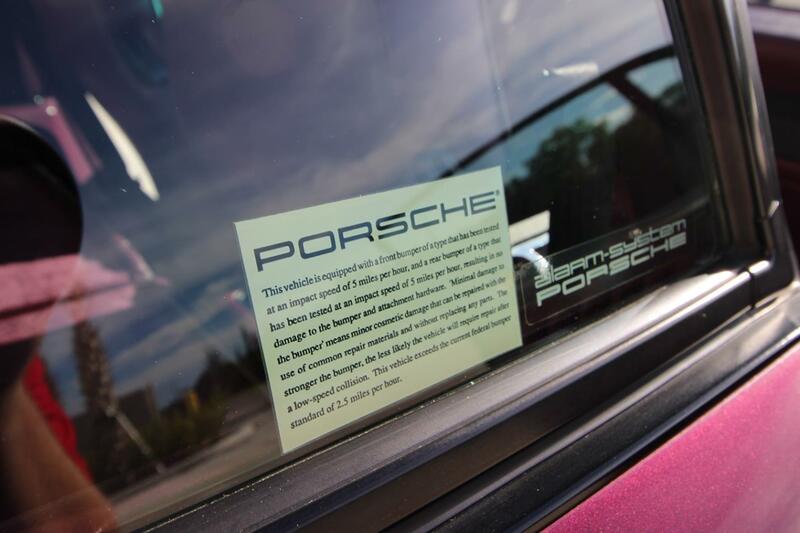 Code 09991, “manufacture from exclusive programme” leads us to believe this vehicle was special ordered by the first owner. 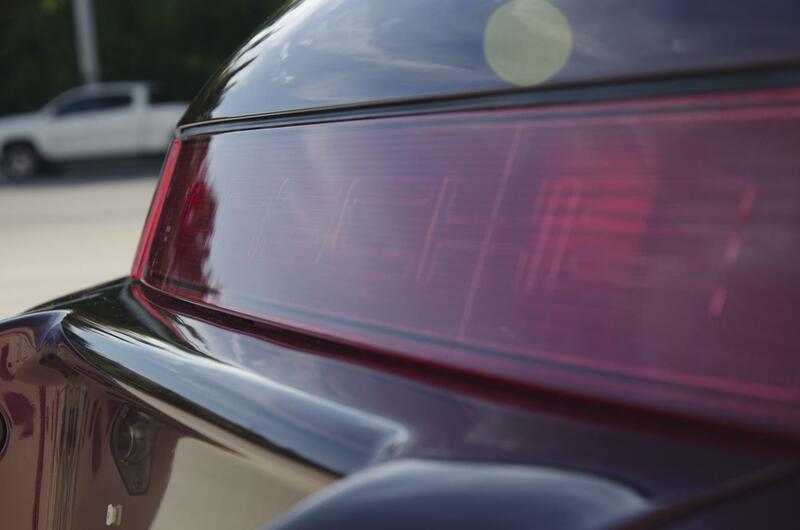 It’s one of 520 C2/C4 coupes imported into the U.S.A. in year 1993. 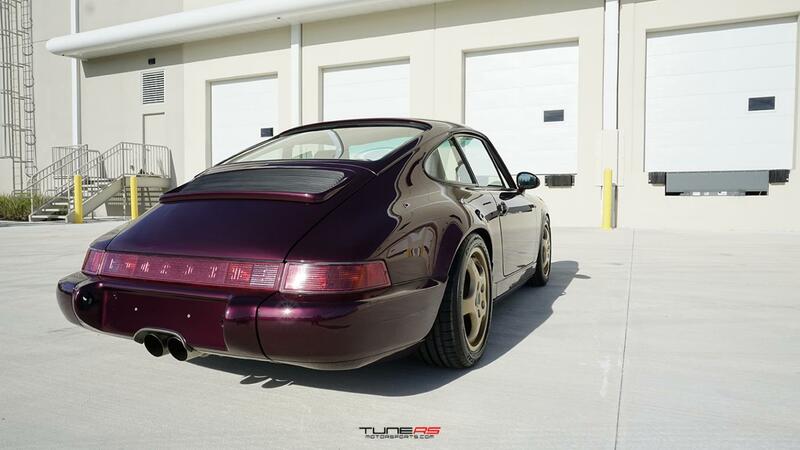 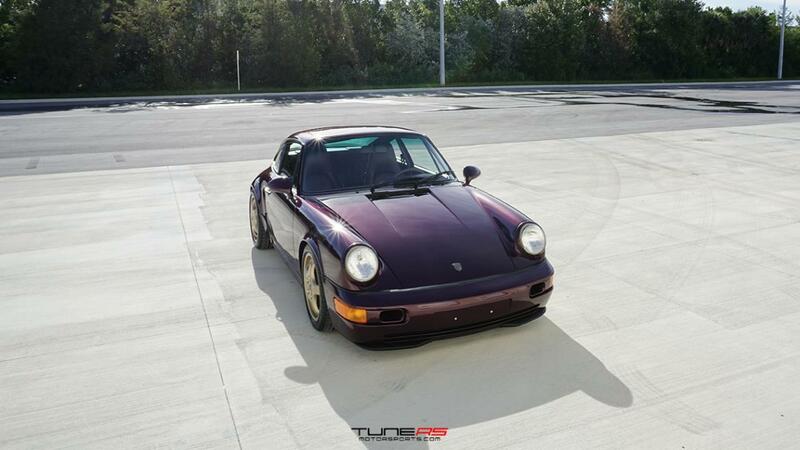 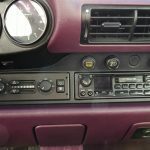 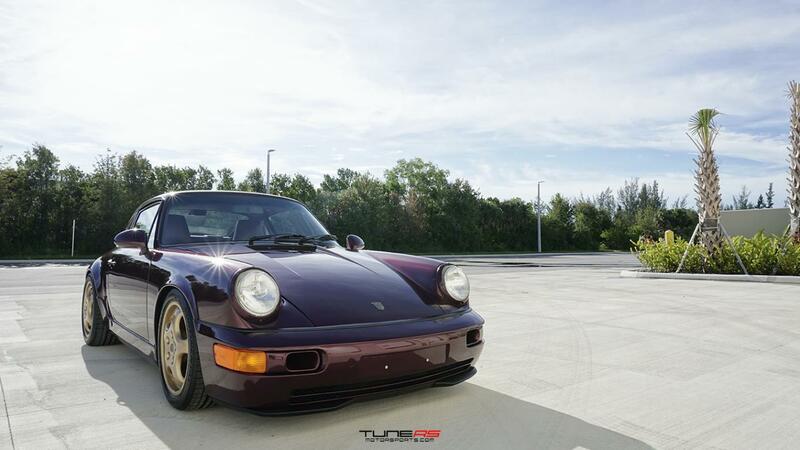 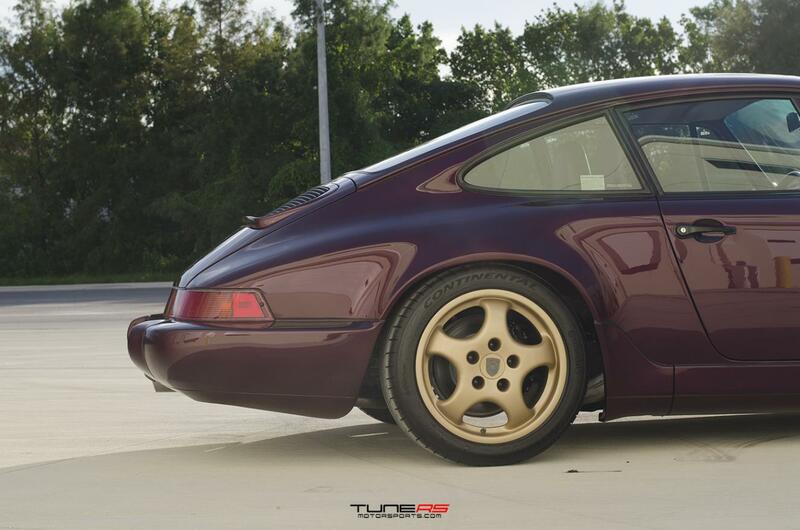 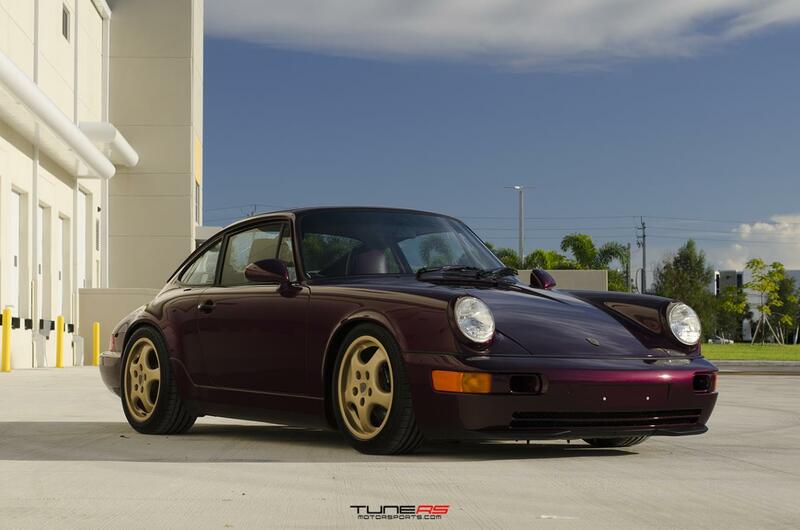 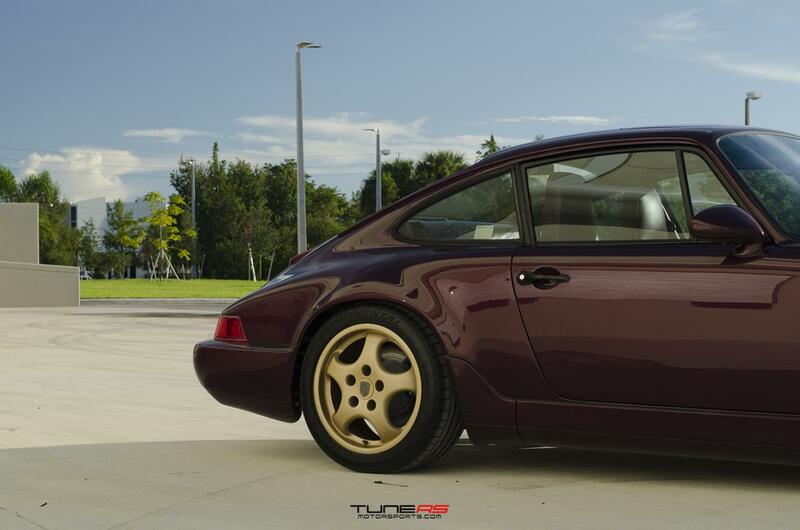 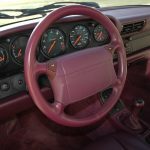 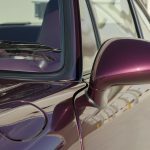 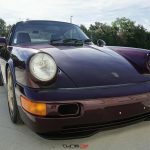 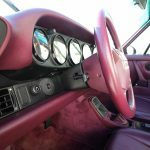 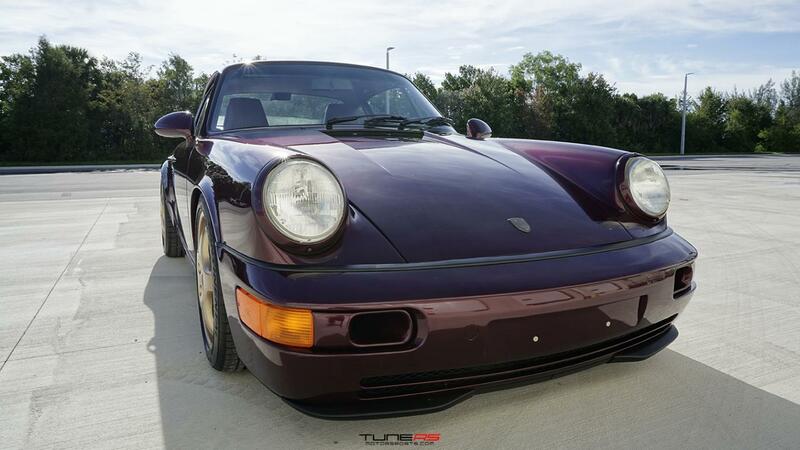 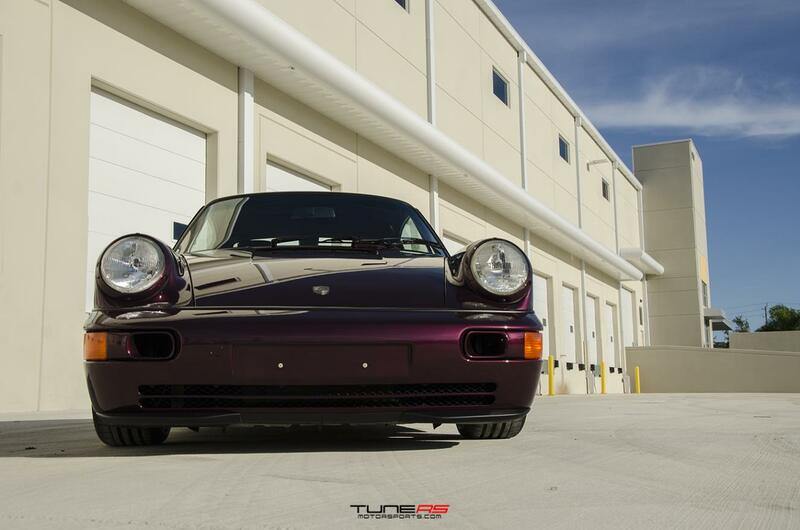 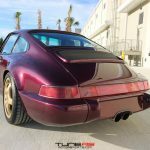 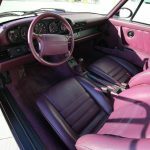 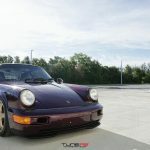 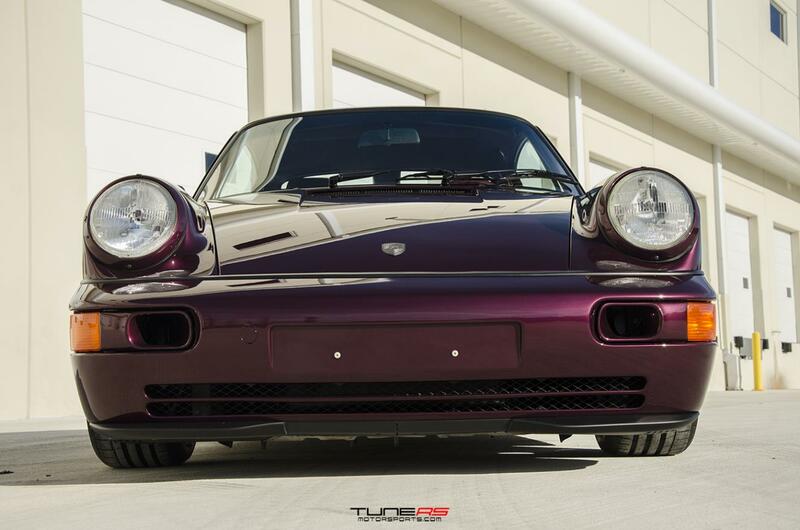 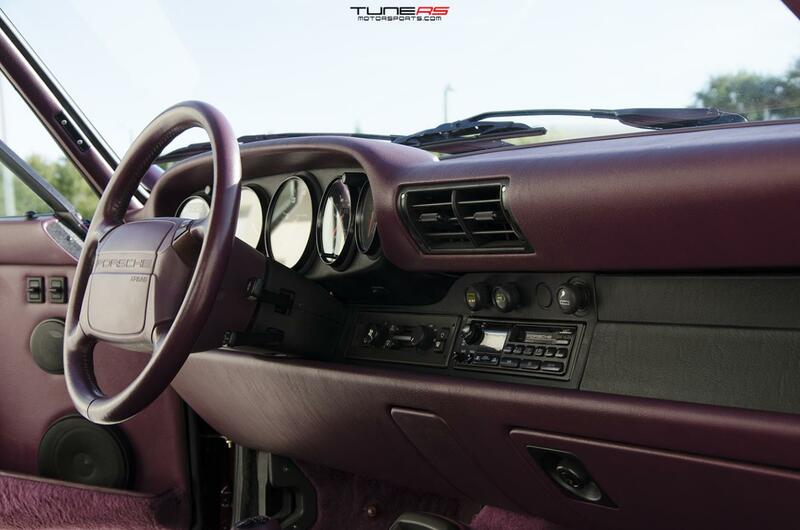 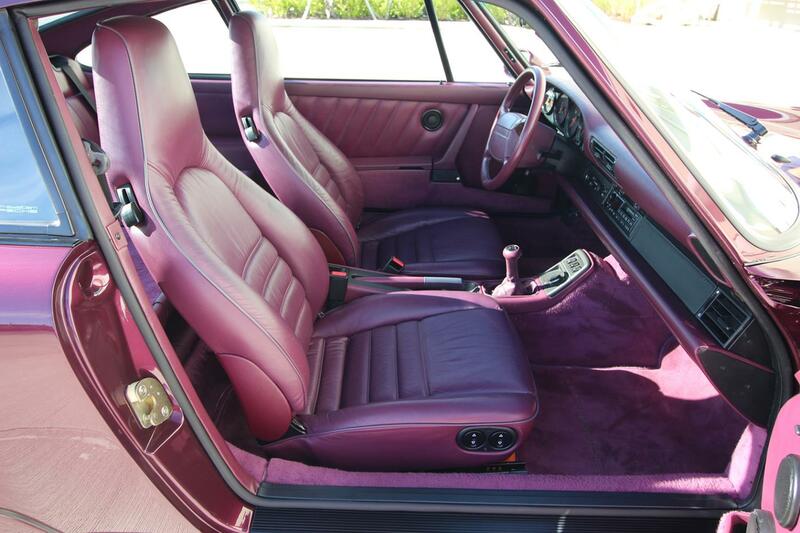 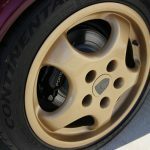 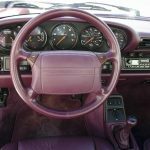 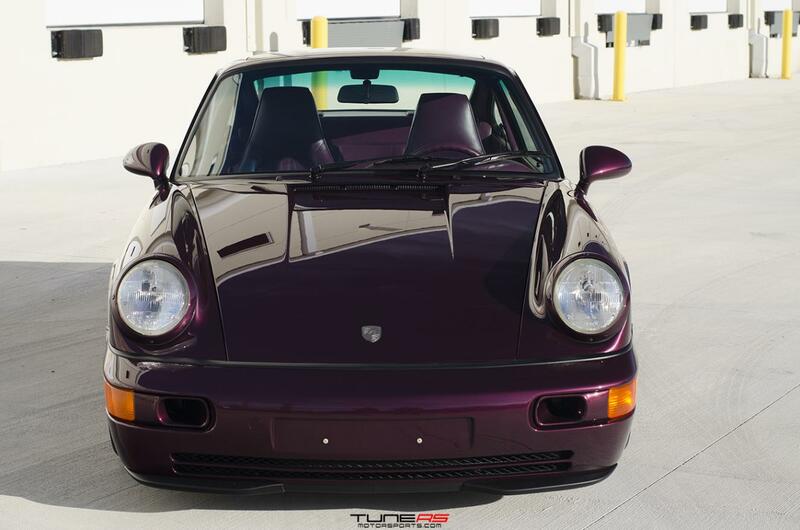 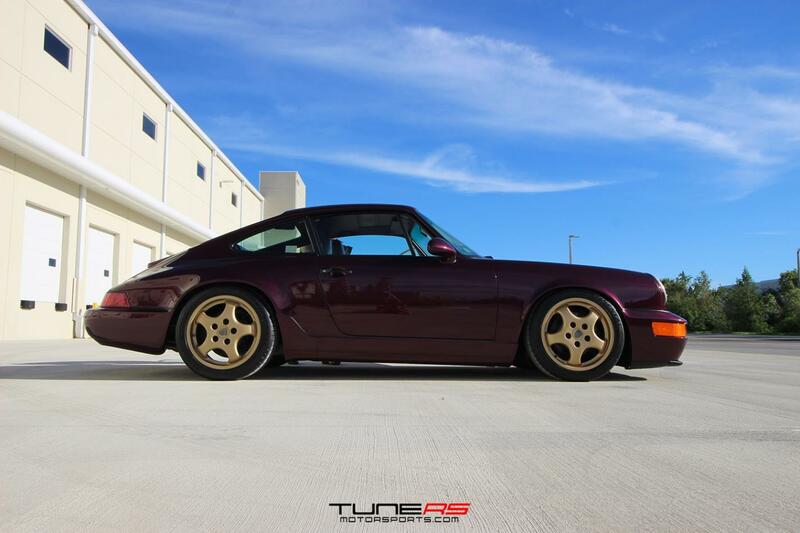 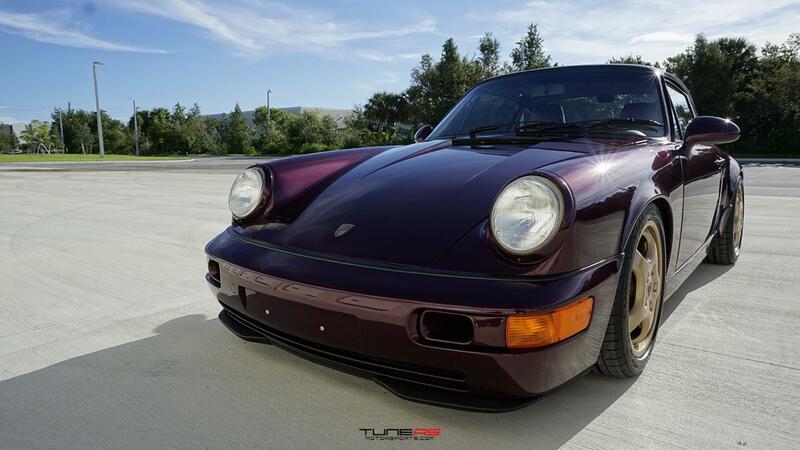 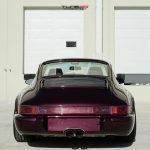 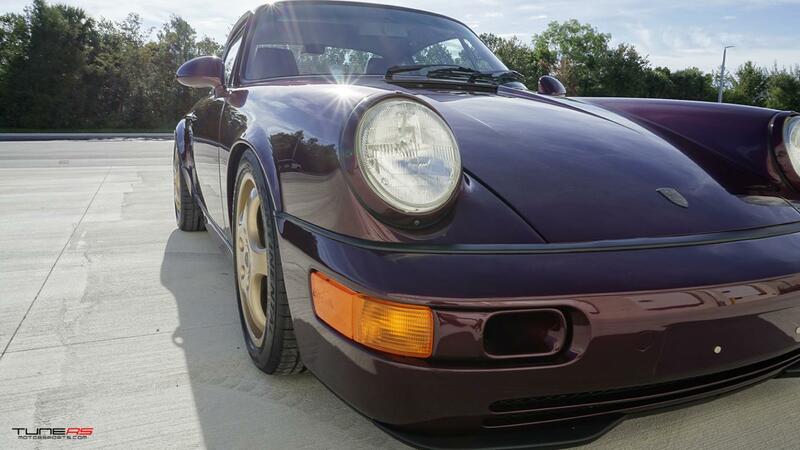 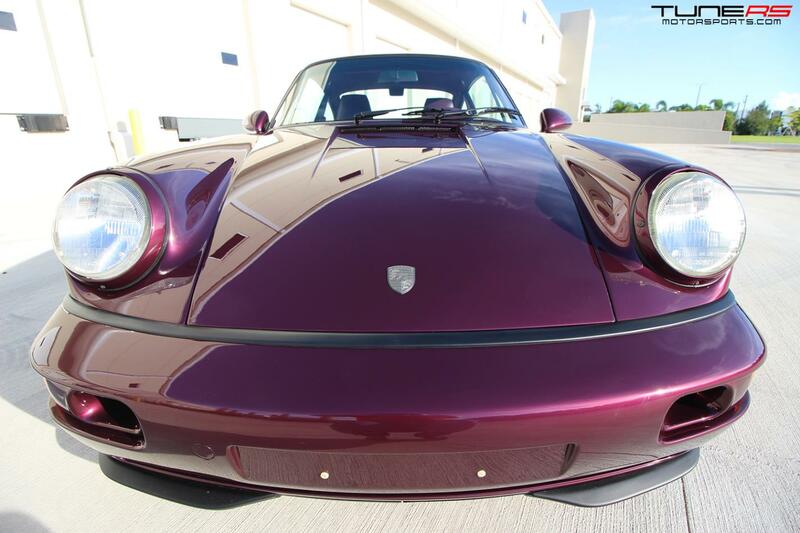 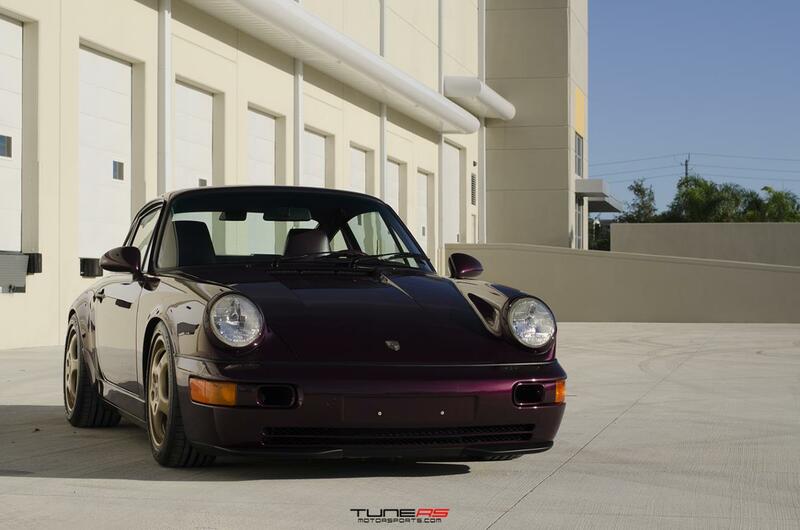 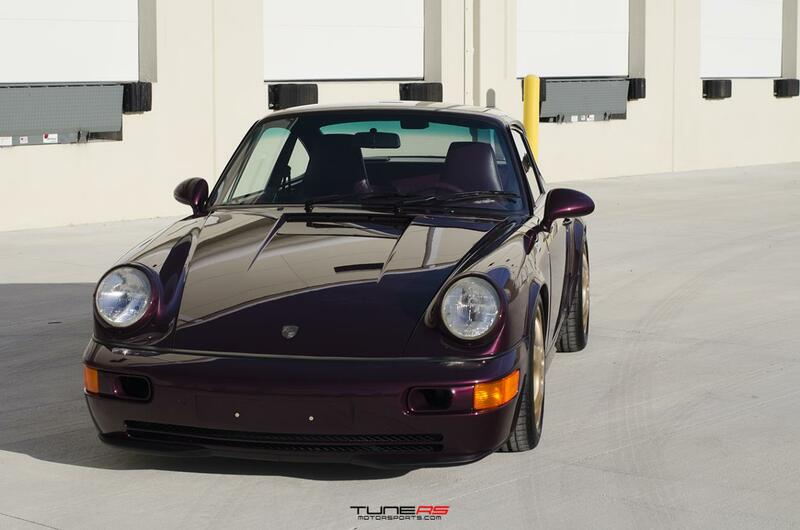 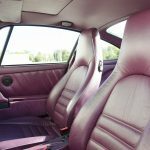 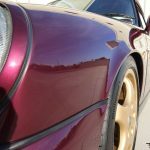 There are not too many 964’s made in Amethyst Metallic as it was a special order paint, and add in the purple interior and this is definitely one of very few, if any others. 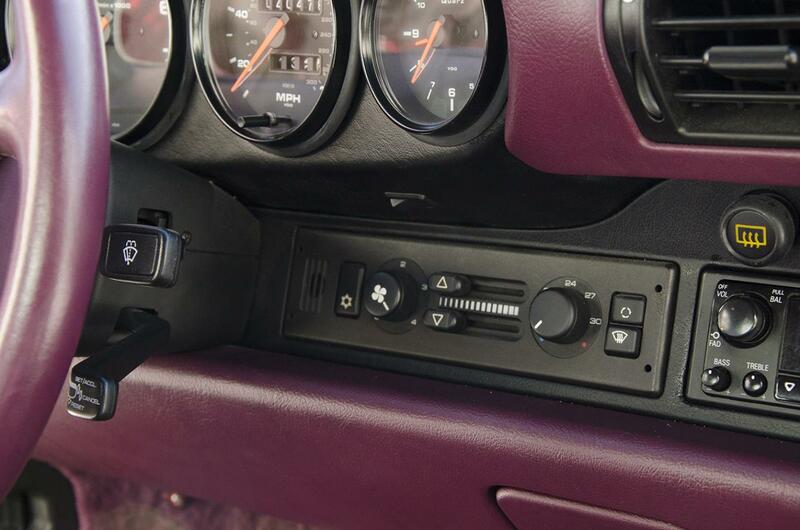 The vehicle has three keys and all of the original books & manuals to go with it. 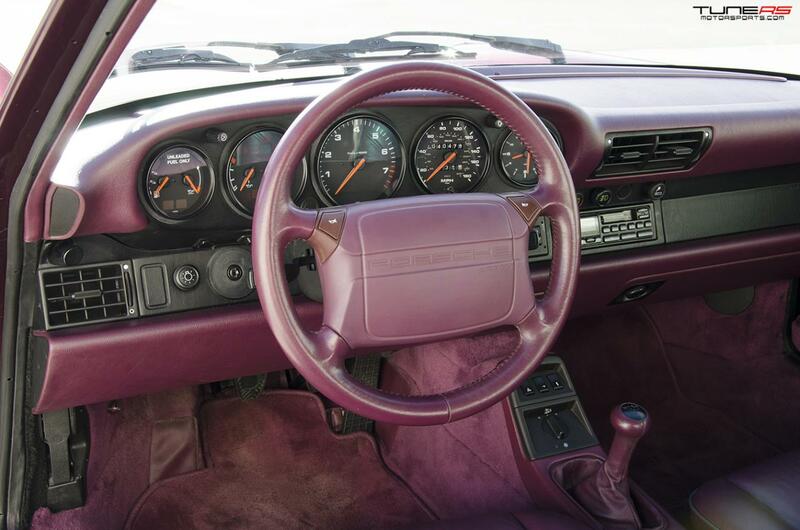 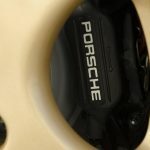 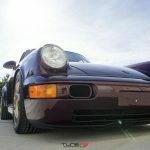 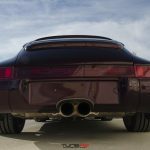 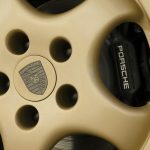 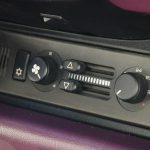 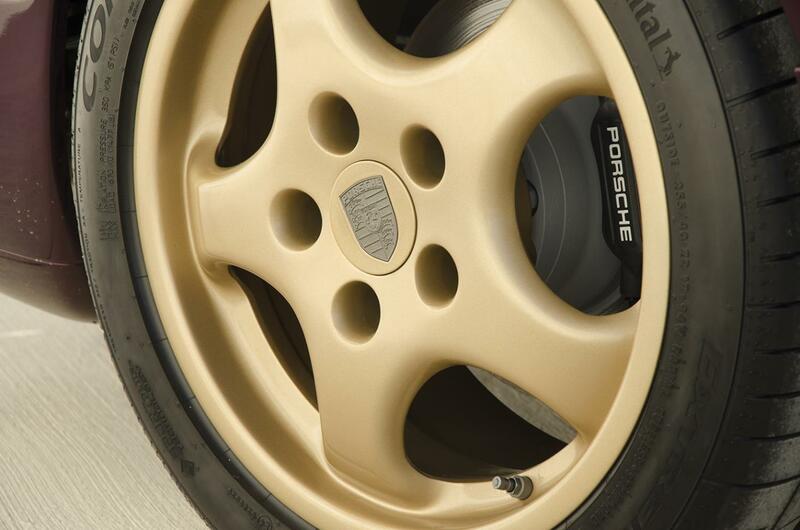 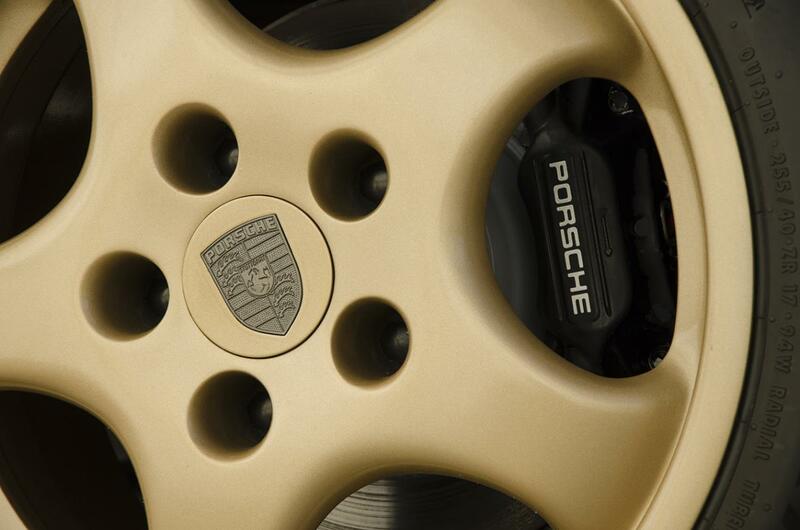 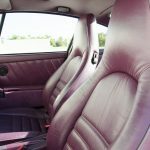 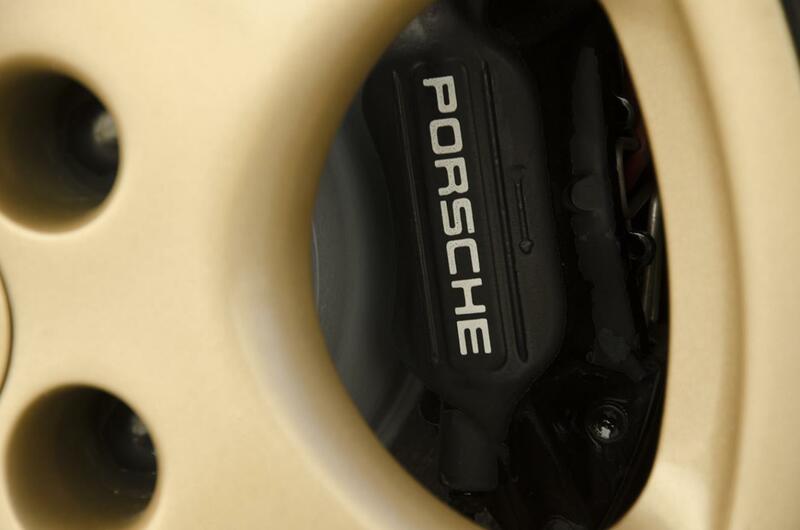 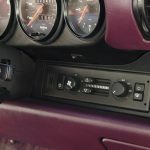 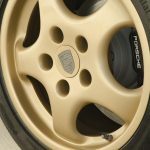 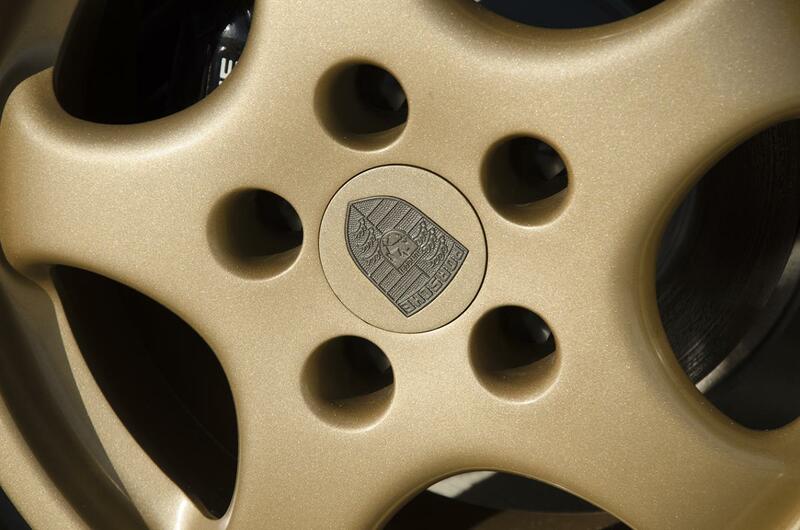 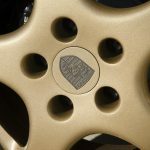 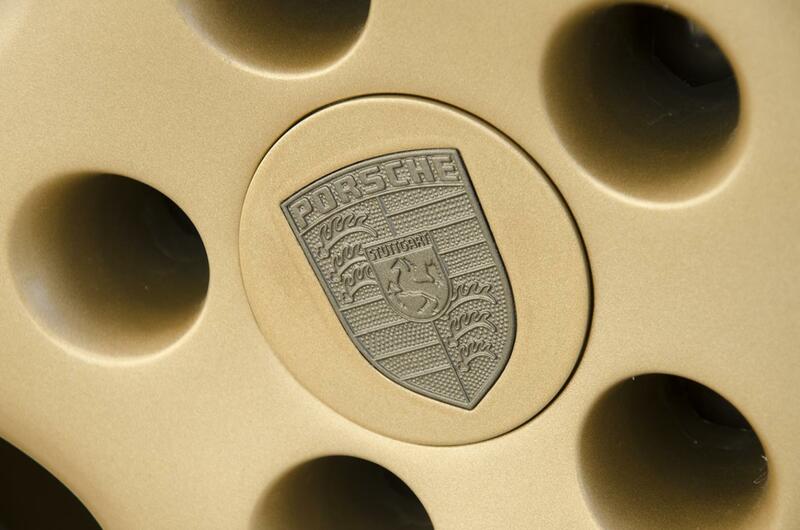 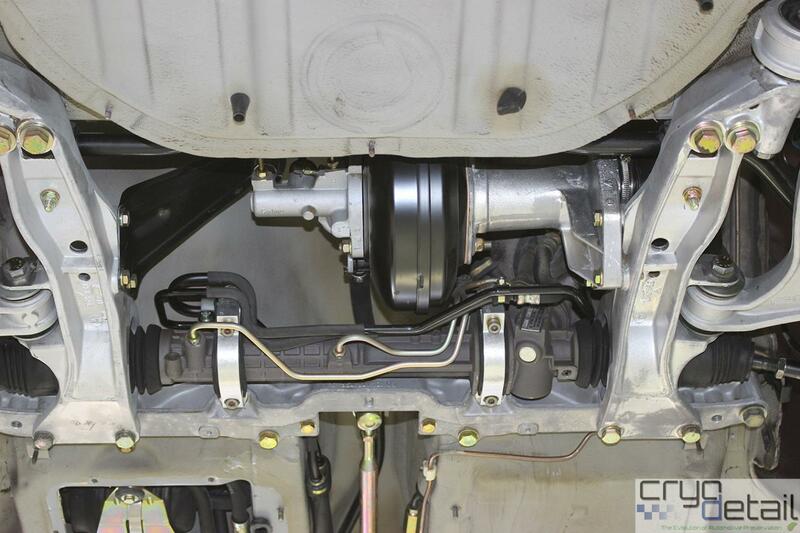 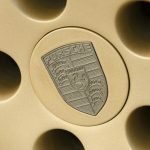 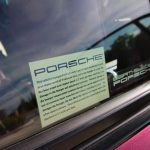 This car was also ordered with most of the normal options found on a 964, but a few extras including factory Limited Slip Differential, technic package and draped leather seats. 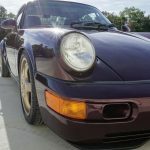 This is a three owner vehicle that started it’s life in New York and worked it’s way down to Florida with owner 2 and 3. 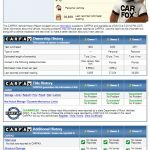 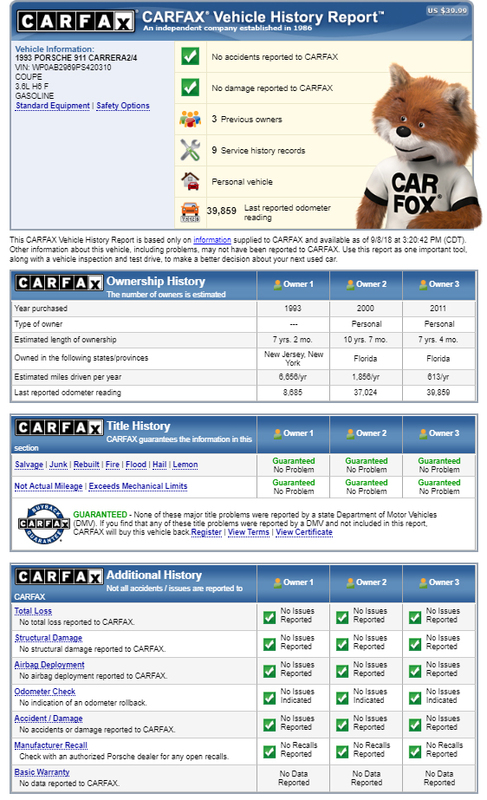 It comes with a clean title and has a clean carfax. 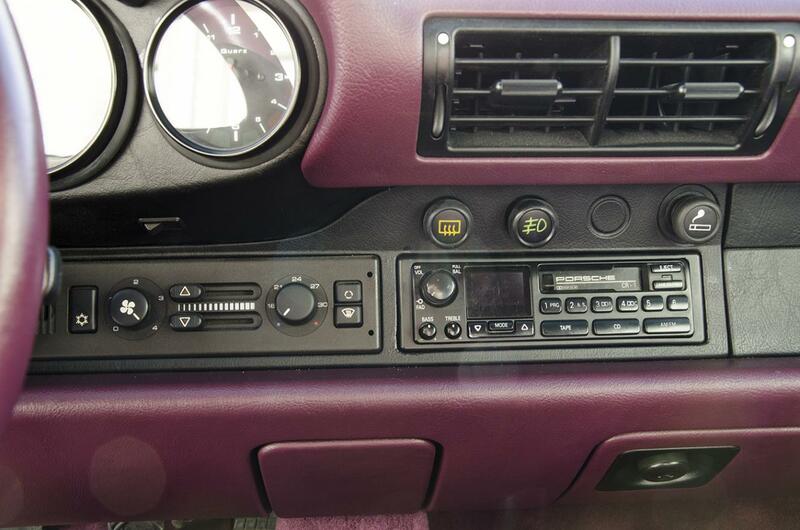 It’s a non-smoking vehicle and had been very well maintained it’s entire life. 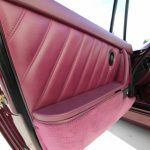 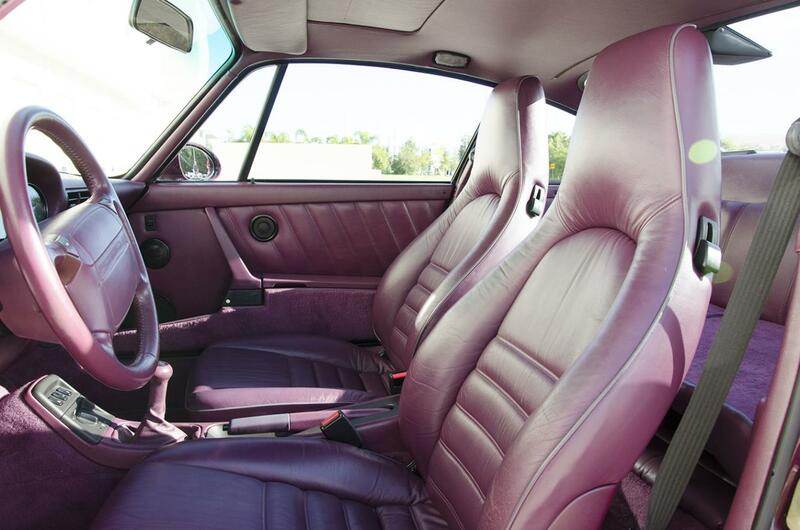 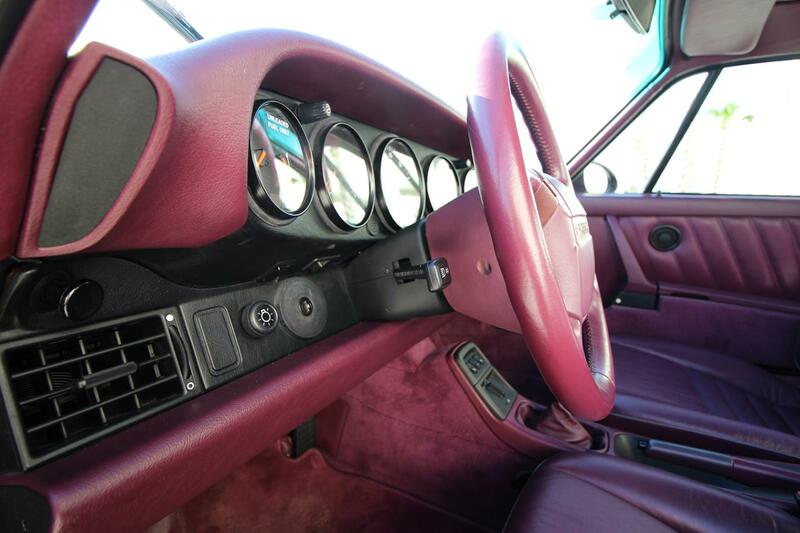 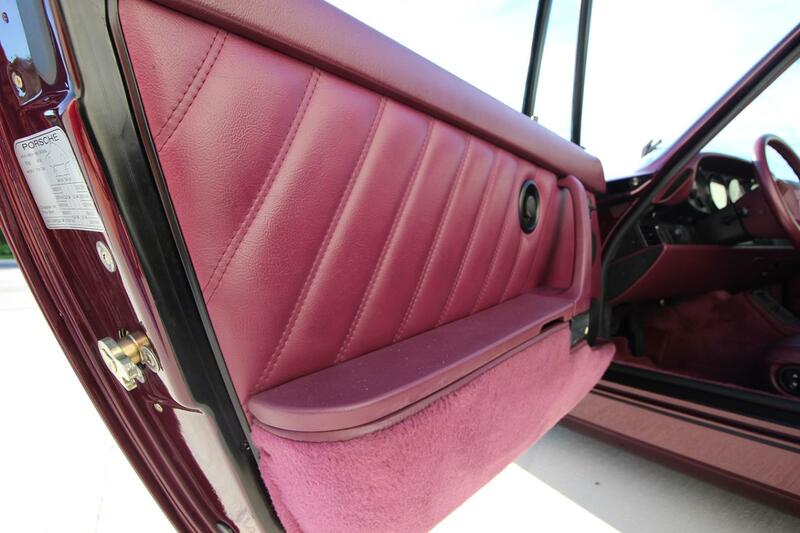 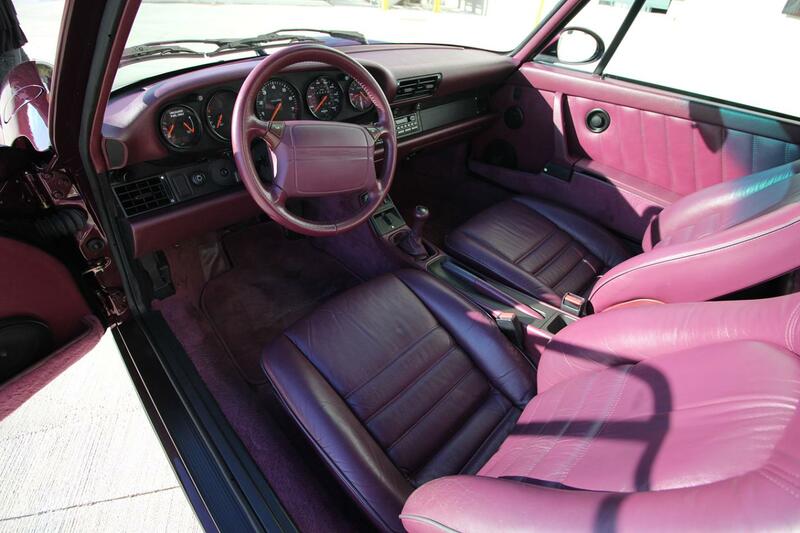 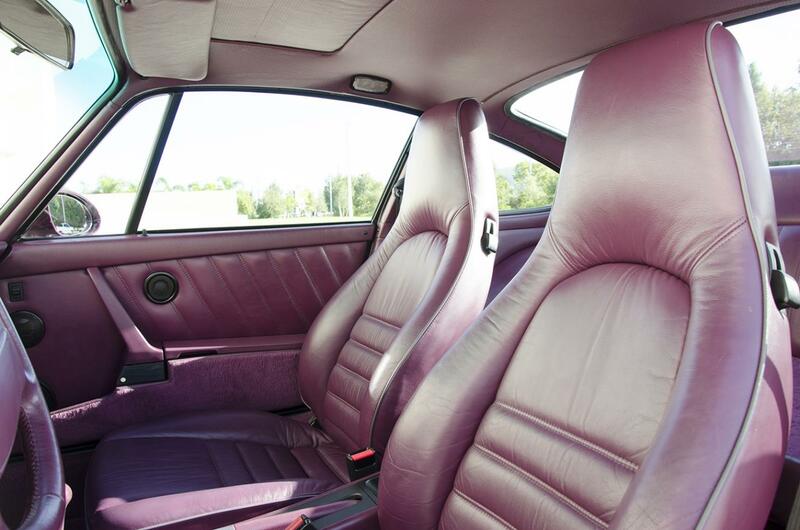 The interior is all original, with draped leather seats front & rear that are in great condition. 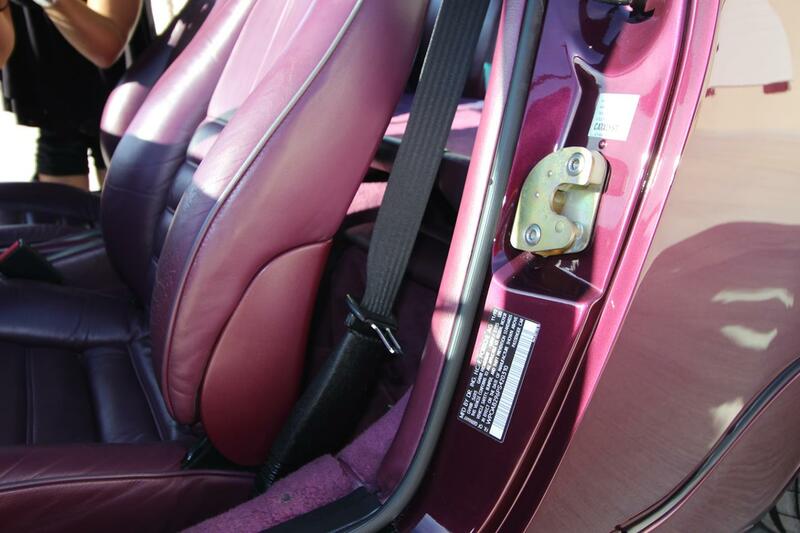 The driver seat has some light wear on the left bolster which is normal to see. 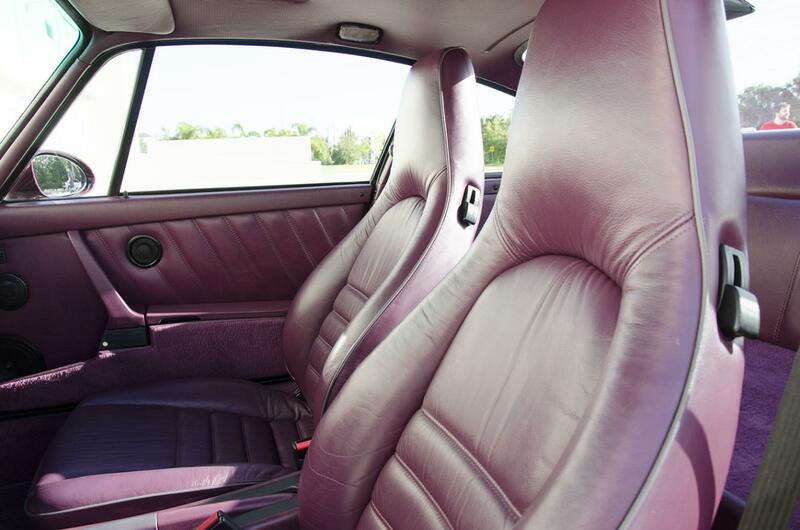 The interior is damage free. 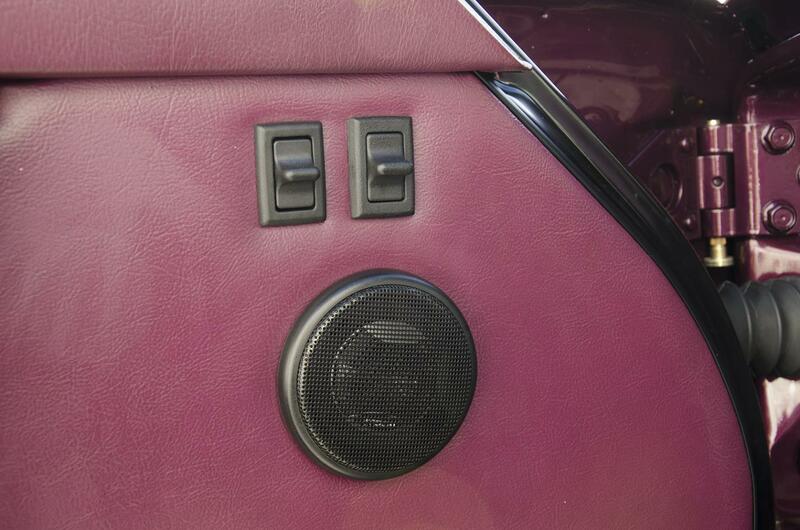 All of the power functions are working correctly with no known defects. 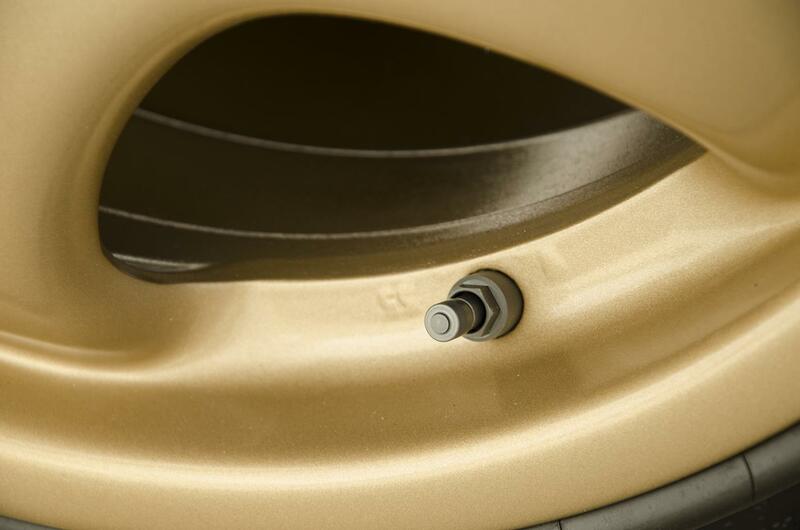 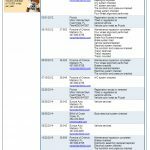 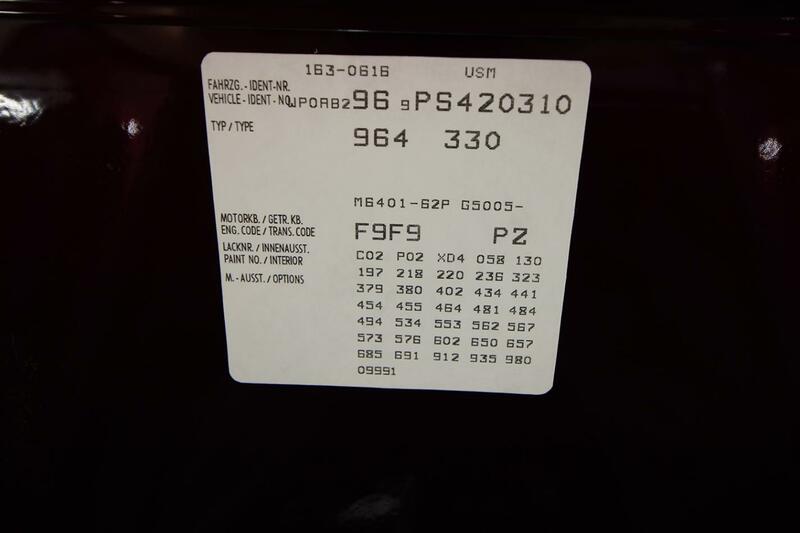 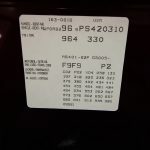 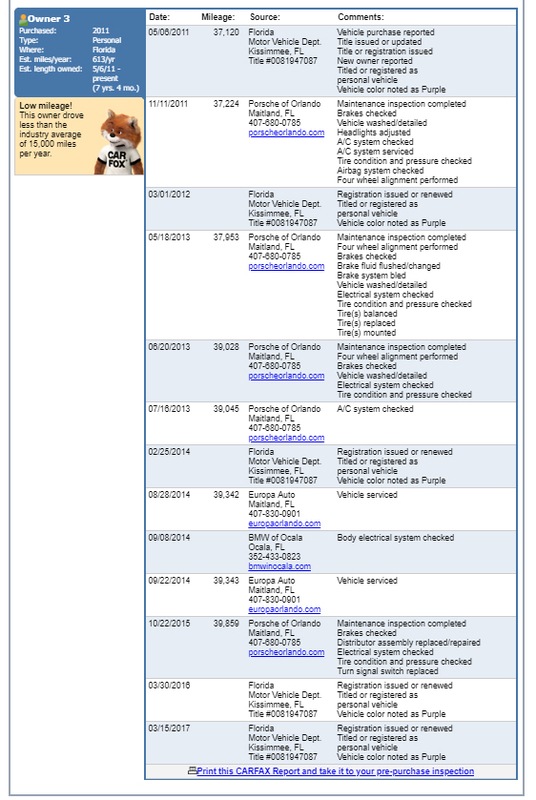 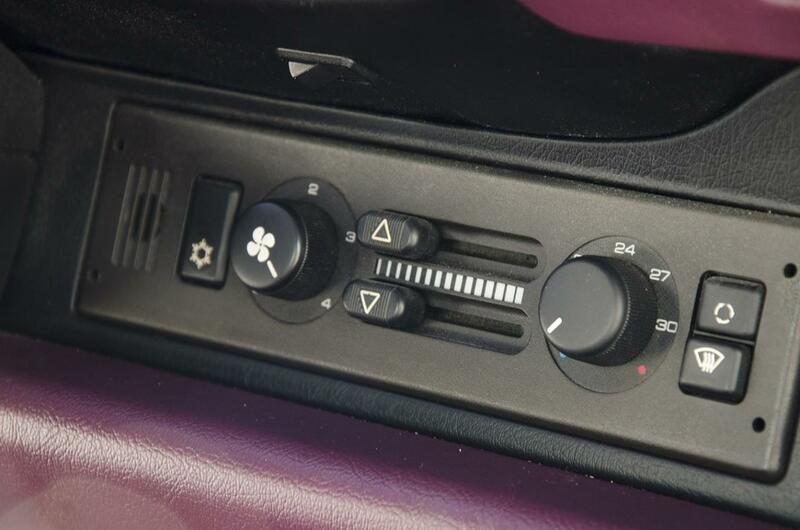 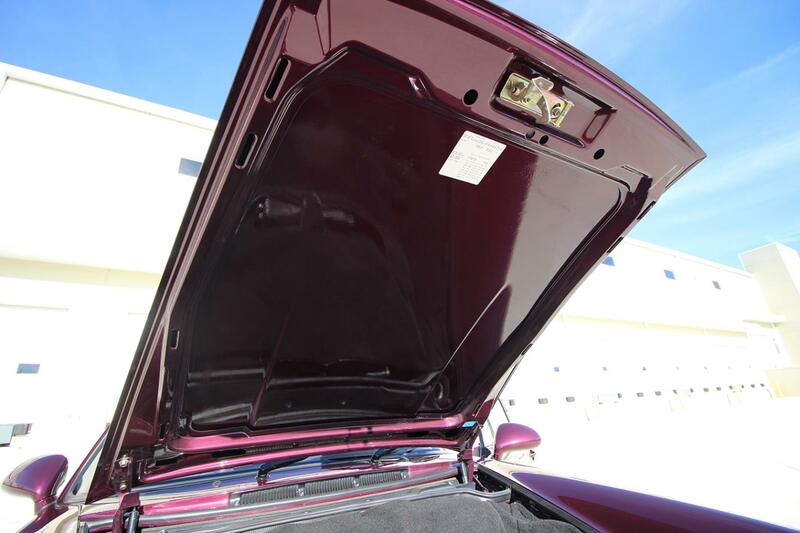 All instruments are also functioning correctly and the vehicle has original miles as noted. 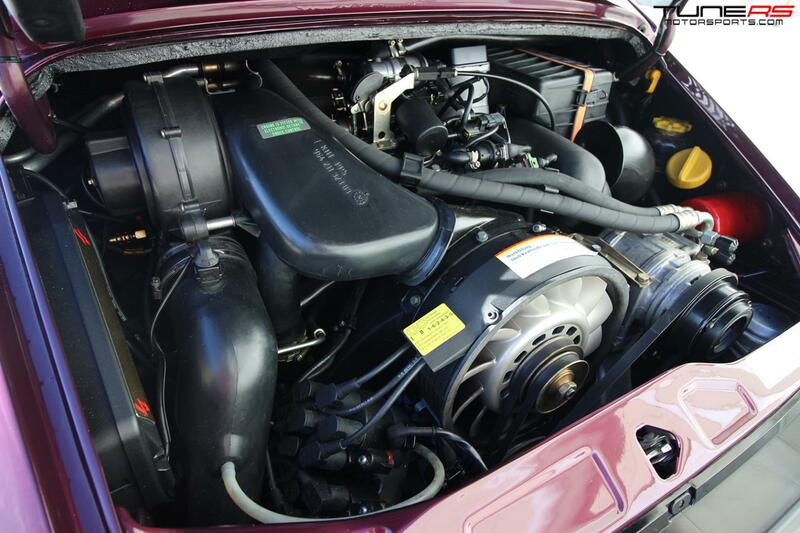 An engine leak down test was performed by TuneRS when first receiving the vehicle, with all cylinders showing less than 5% across all cylinders indicating a good sealed motor. 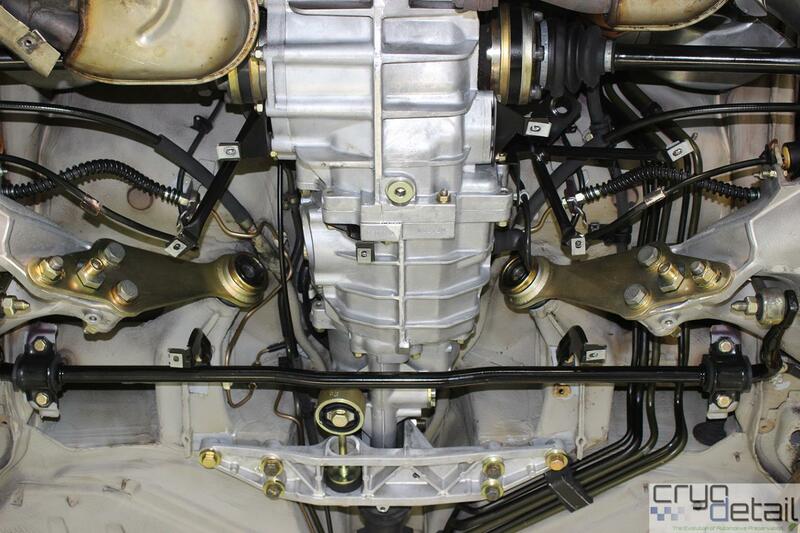 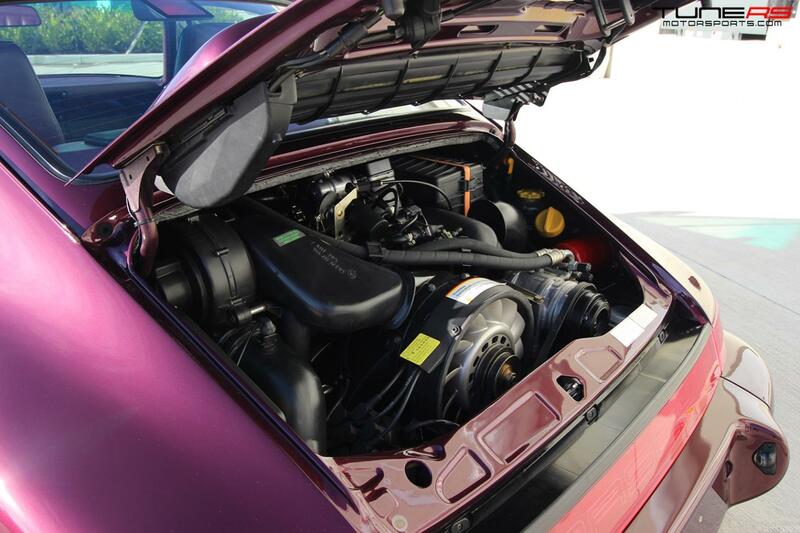 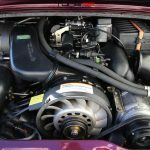 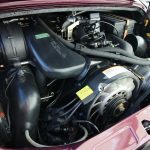 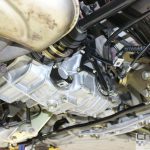 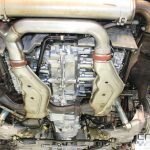 The engine is in solid condition and has no leaks or known problems. 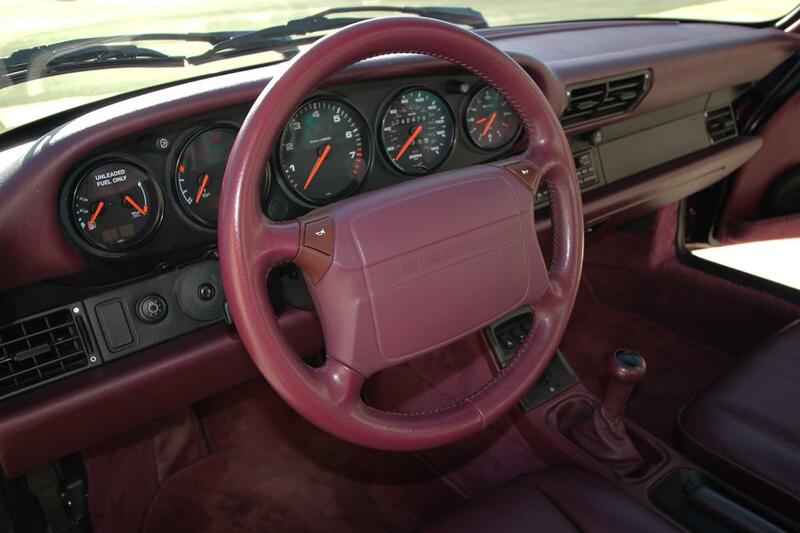 It is the original 3.6L, matching number paired with the original 5 speed manual gearbox. 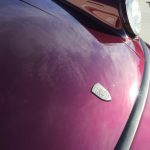 The car runs strong and smooth. 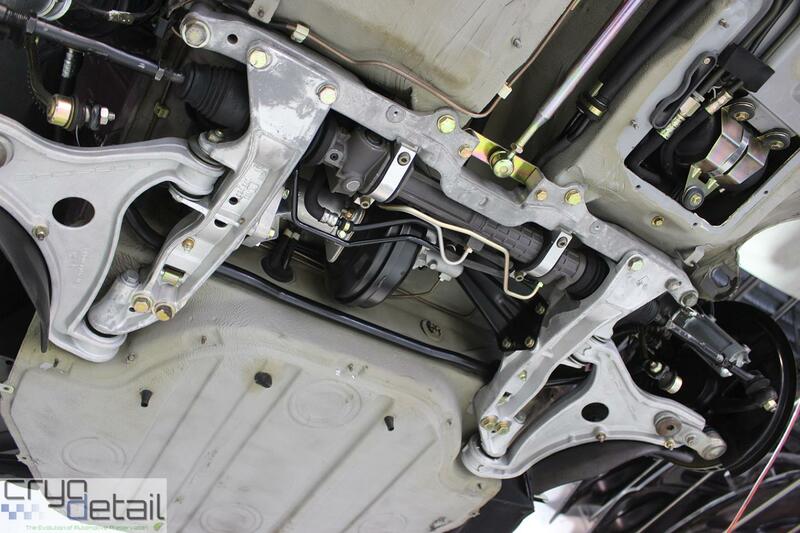 The handling is also fantastic, a set of new Bilstein sport shocks and european sport springs were installed for the perfect ride height and handling. 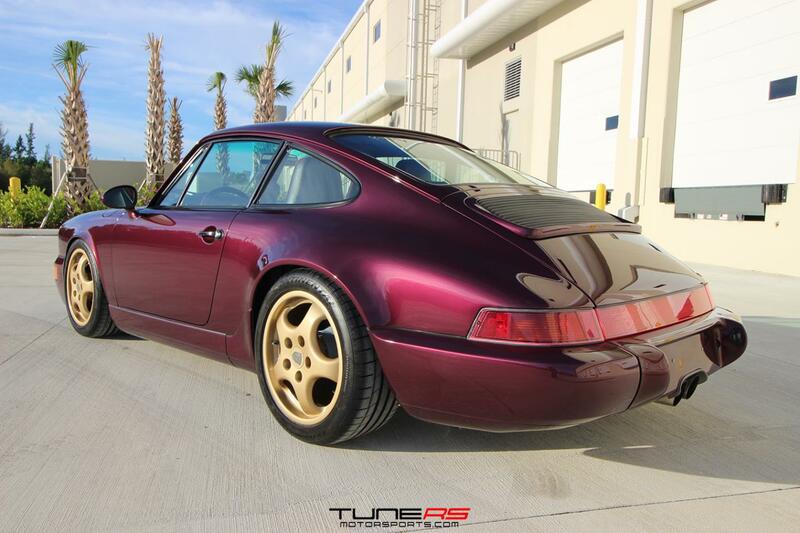 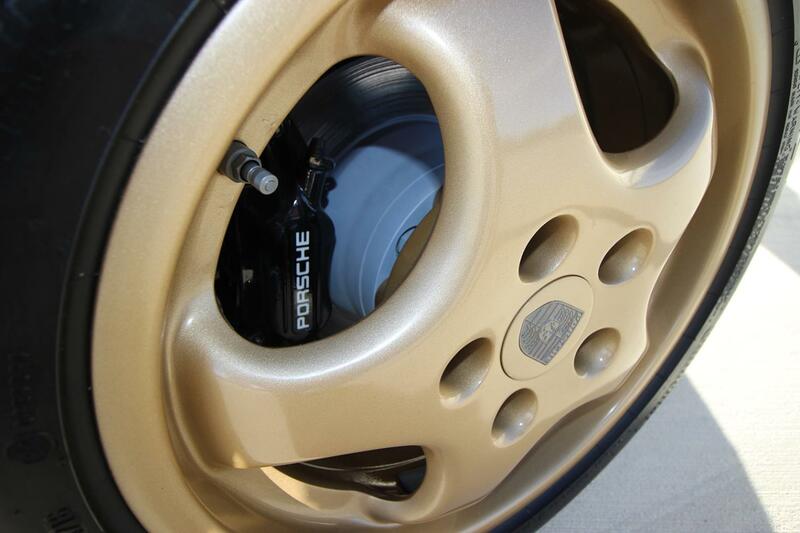 This specific 964 was repainted by TuneRS. 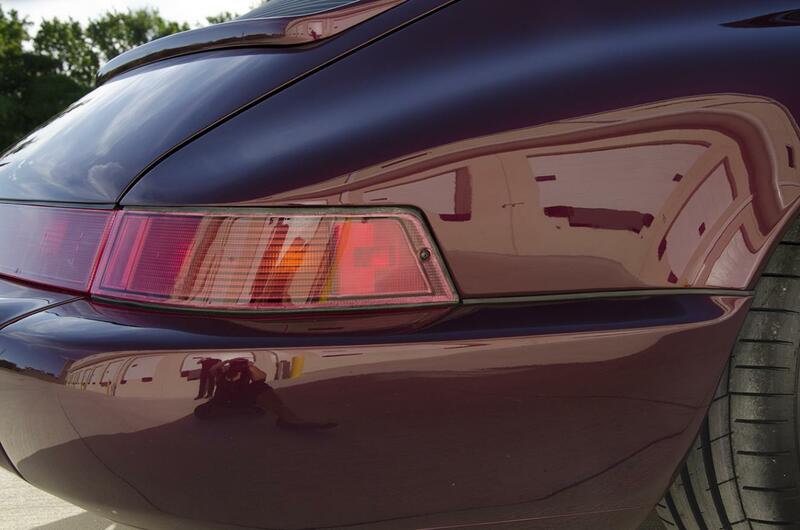 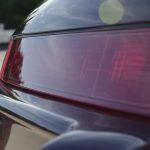 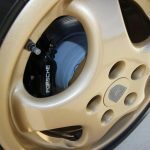 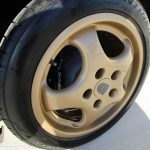 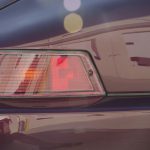 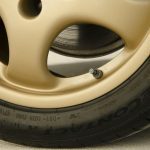 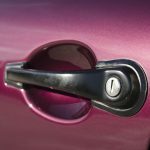 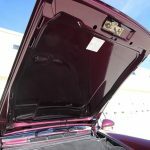 The original paint had seen better days since it left the factory in 1993, and it was decided to strip it completely down to metal and repainted properly with the correct color and all Glasurit line materials. 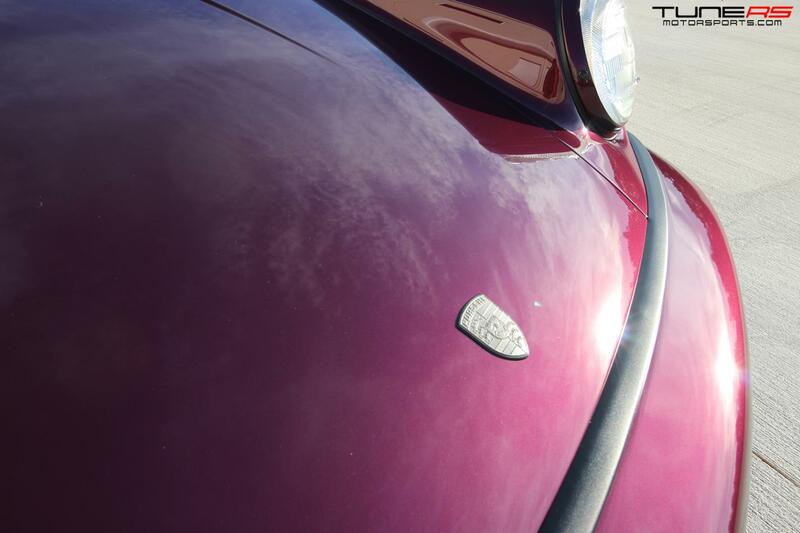 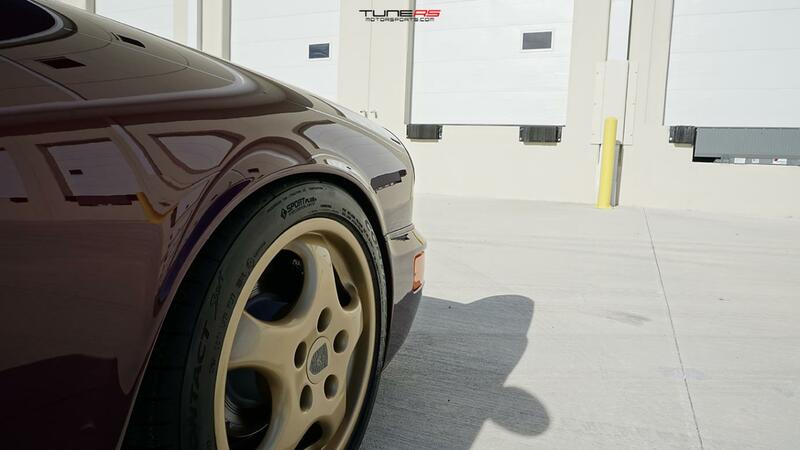 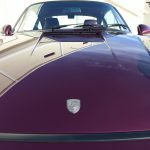 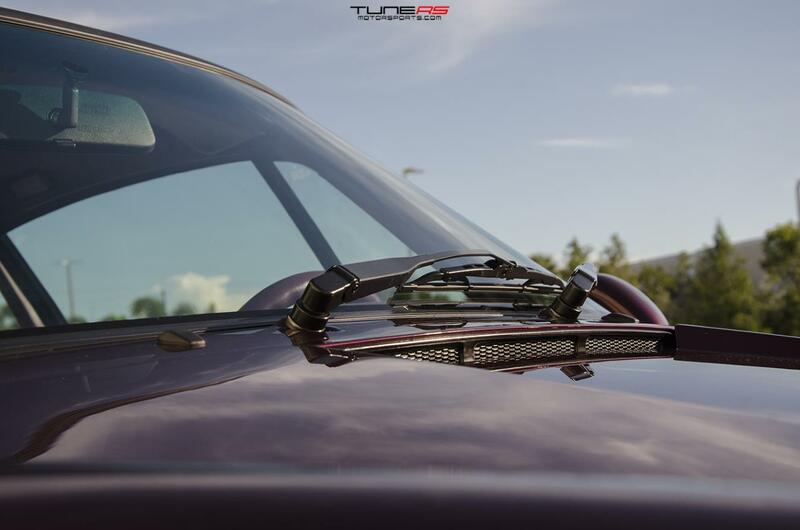 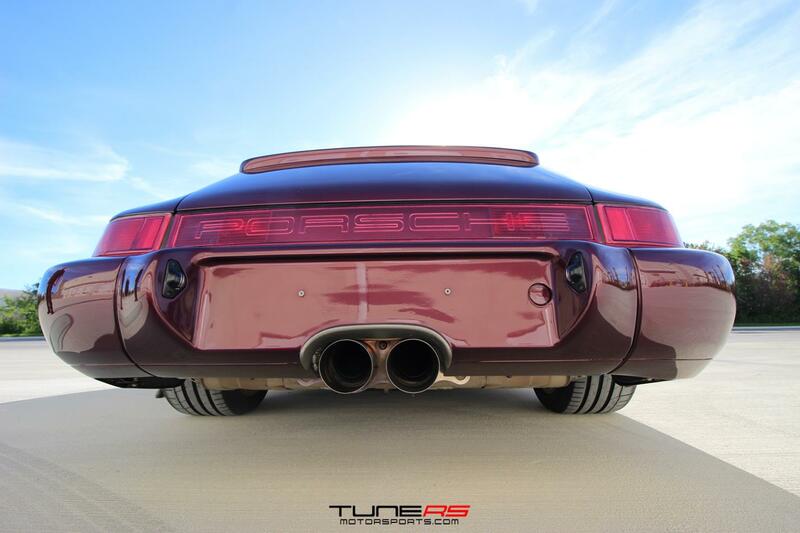 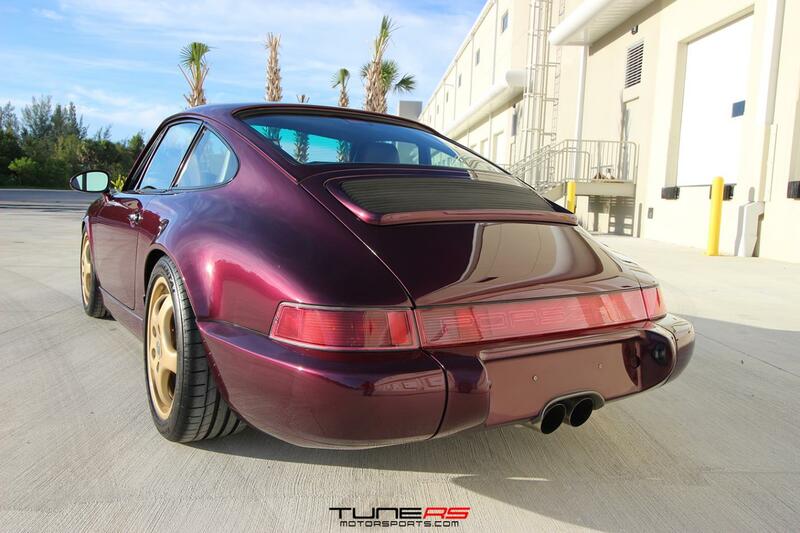 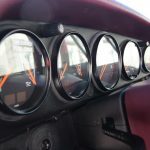 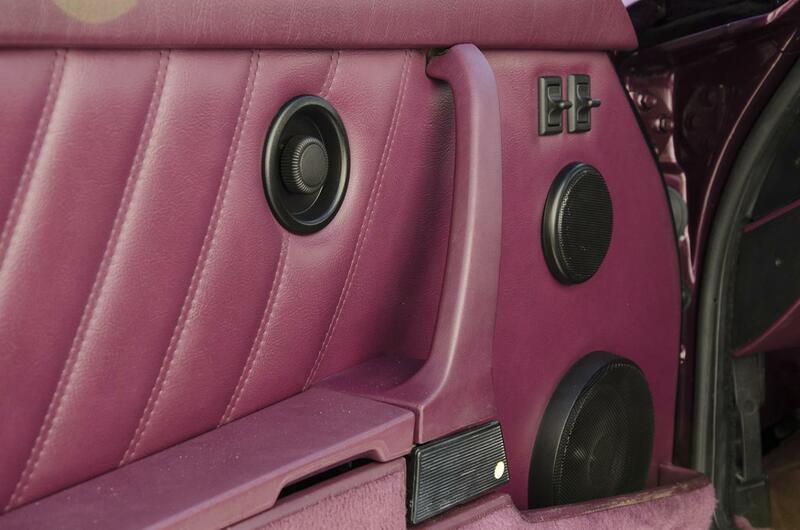 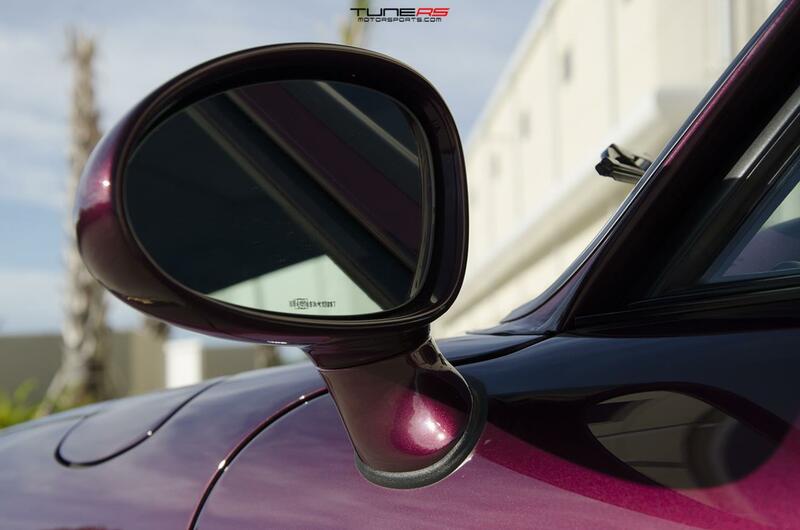 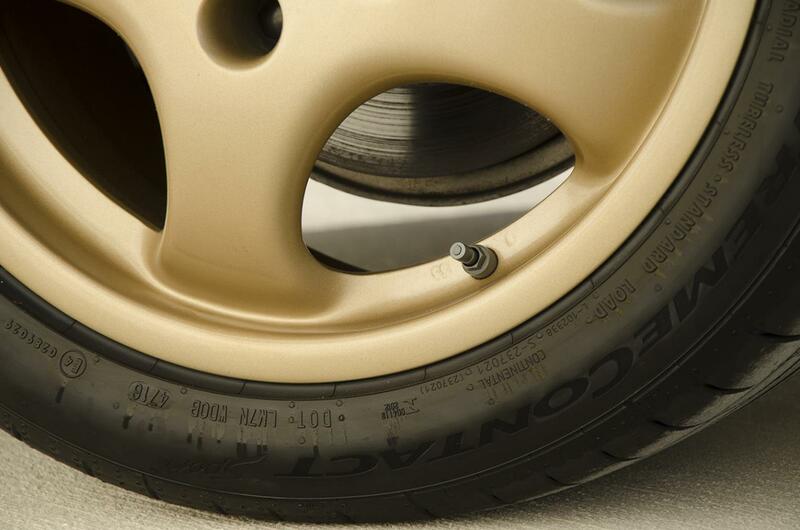 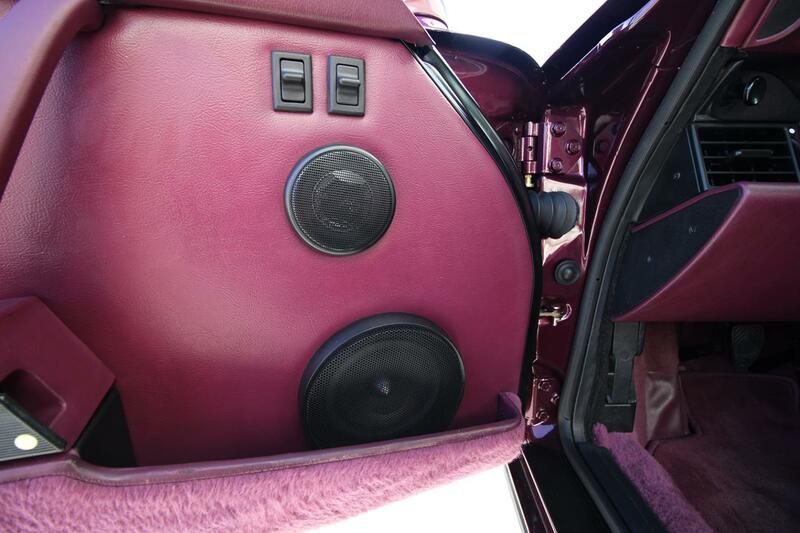 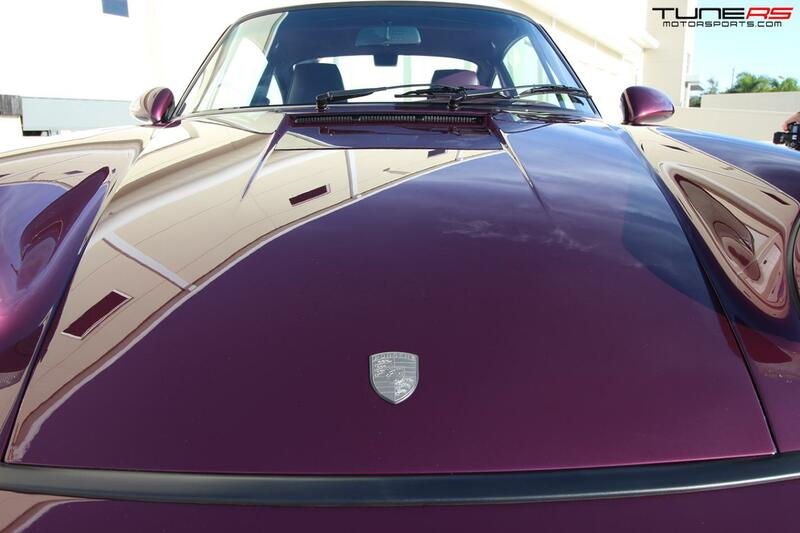 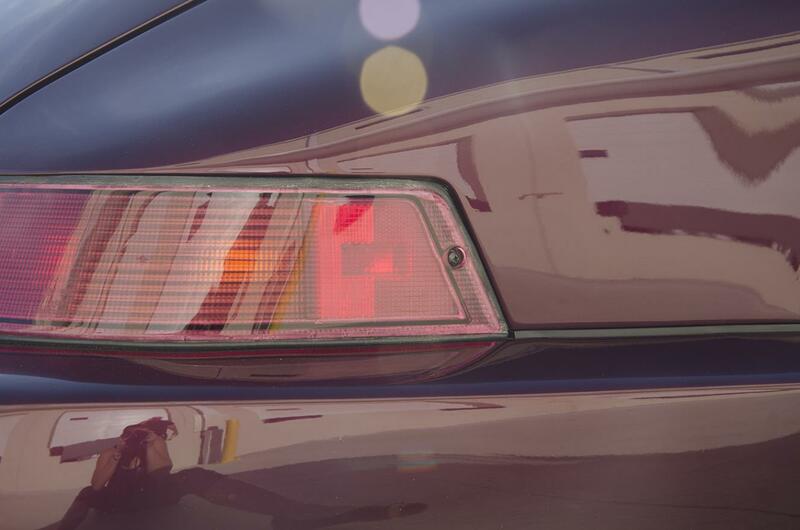 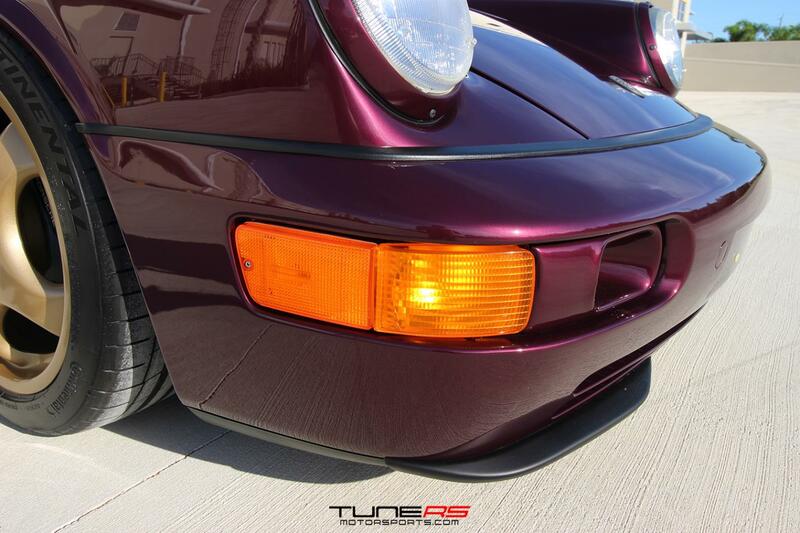 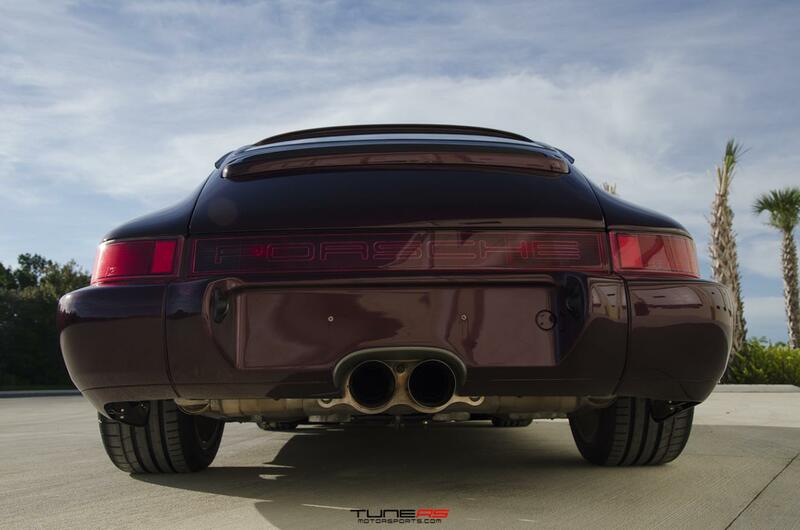 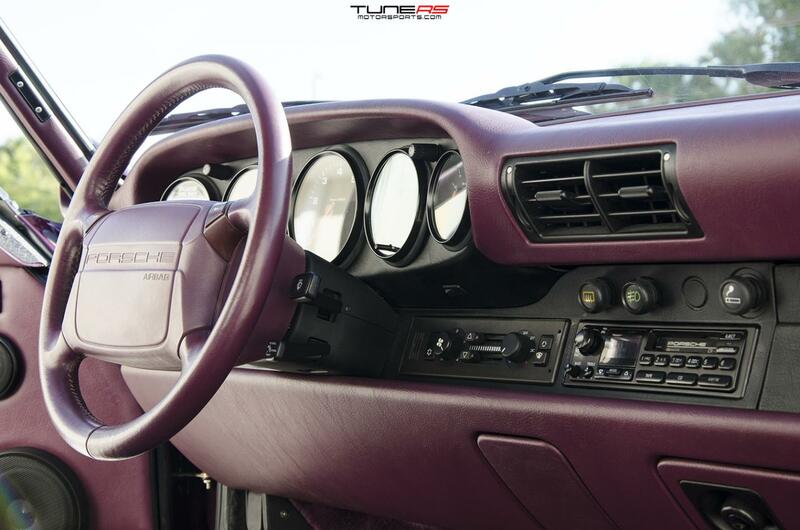 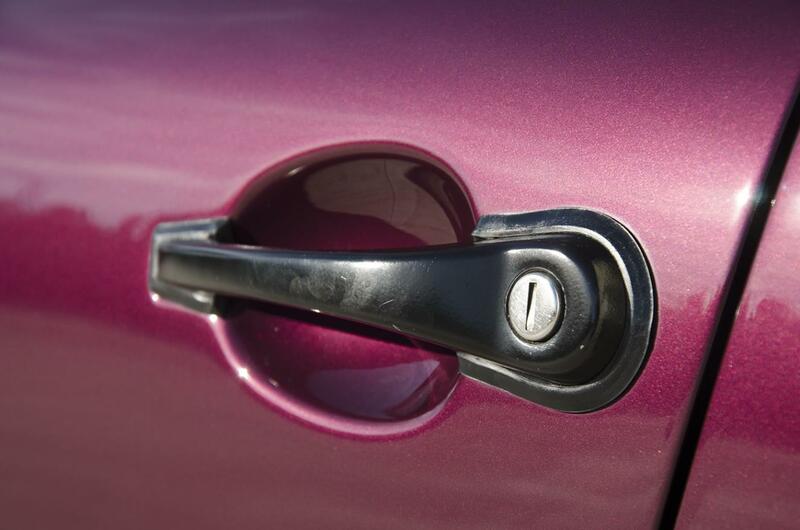 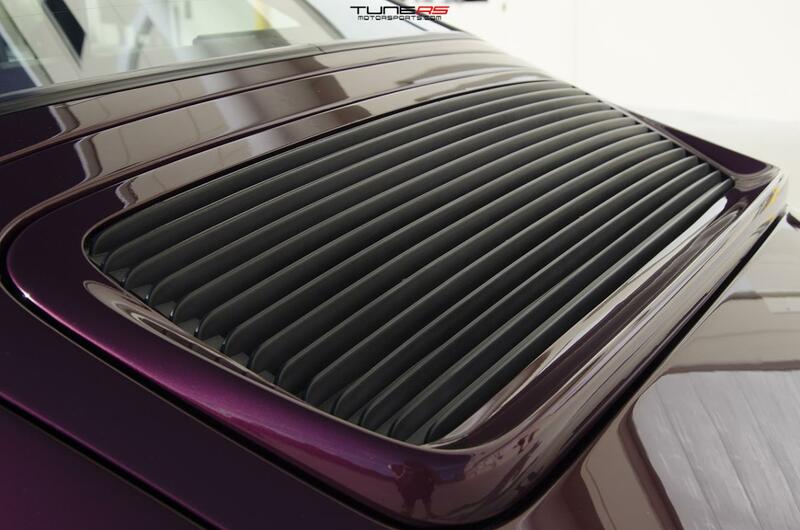 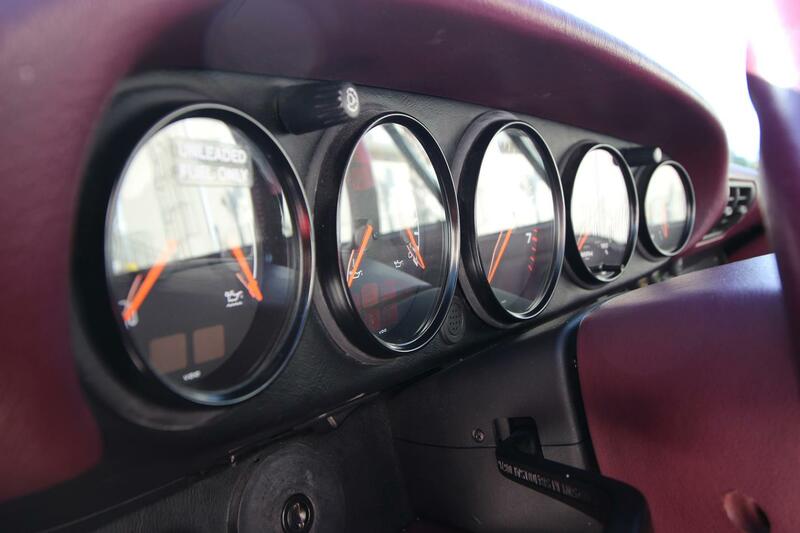 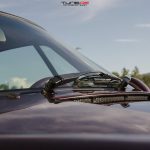 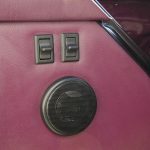 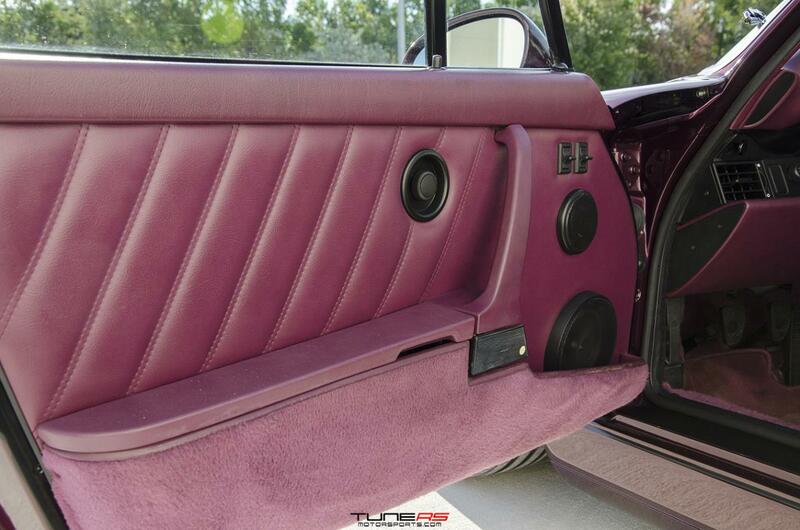 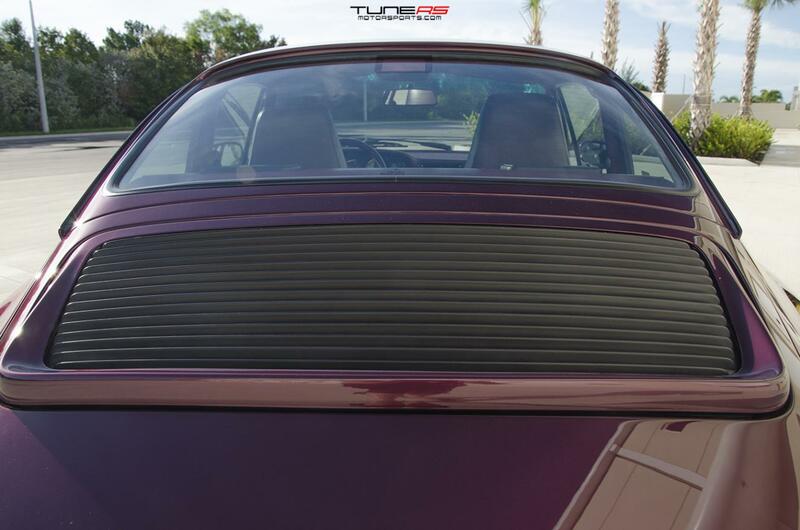 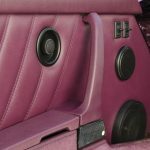 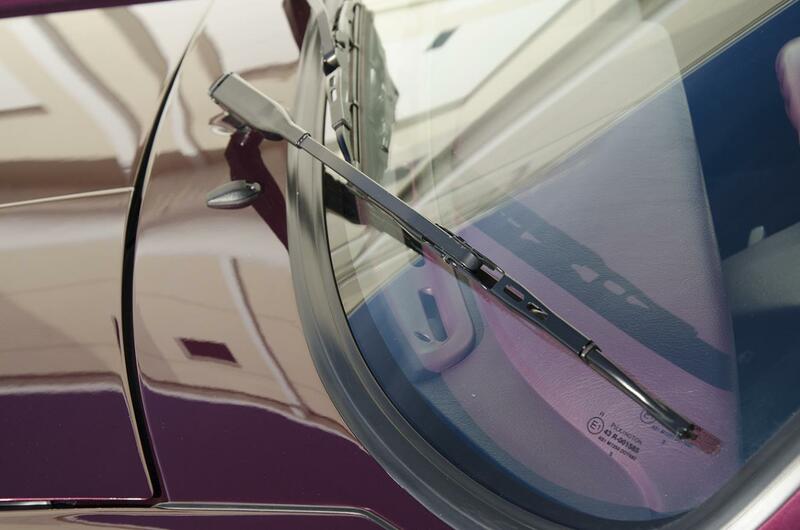 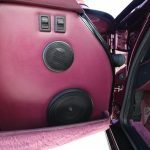 It was done professionally by TuneRS matching the correct version of Amethyst Metallic. 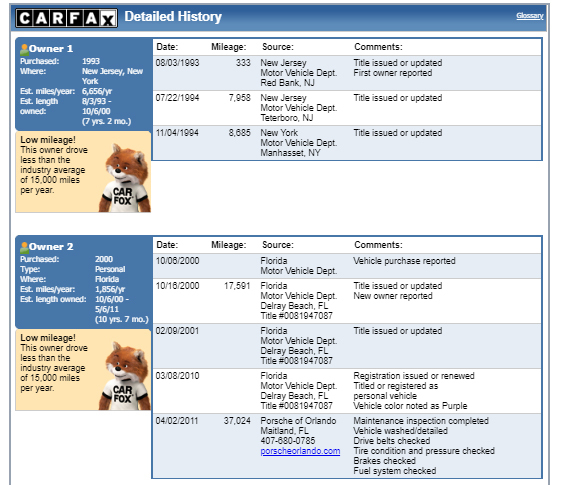 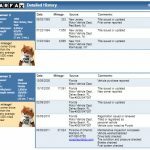 The vehicle had no accident history on record. 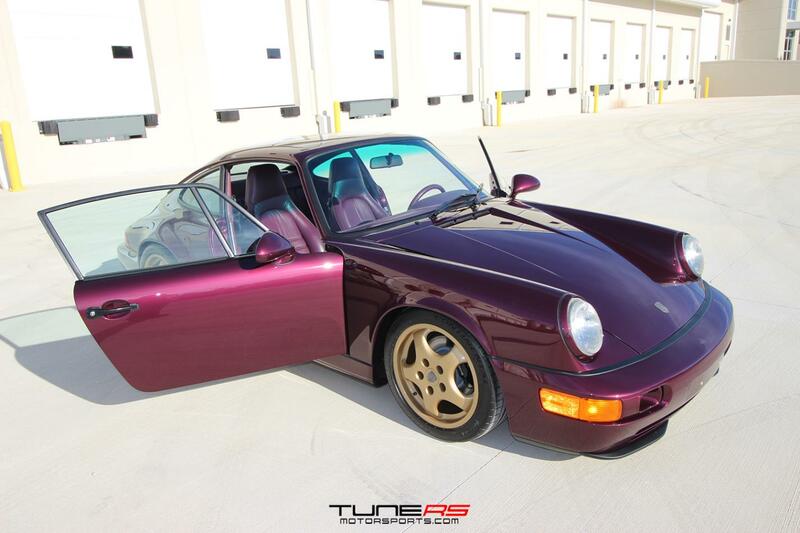 This car was intended to be showroom perfect for the next owner, with a few nice subtle upgrades. 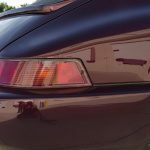 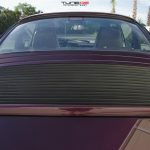 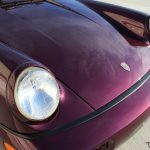 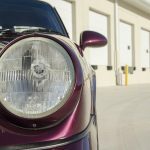 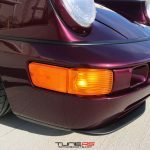 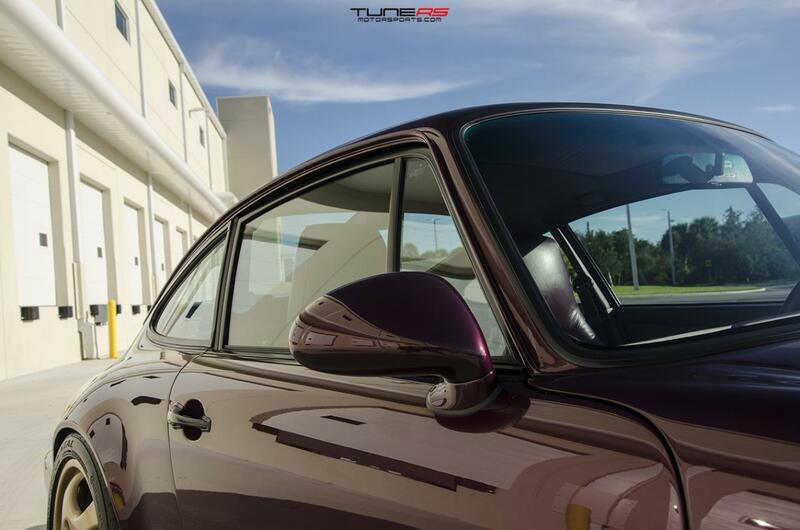 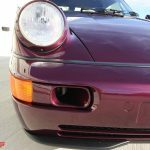 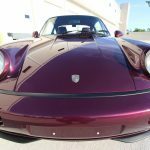 Once this 964 was completed with paint, all new Genuine seals were installed and a new front windshield glass for a perfect finish. 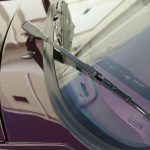 A lifetime ceramic pro coating was then applied to the exterior to ensure maximum UV and paint protection. 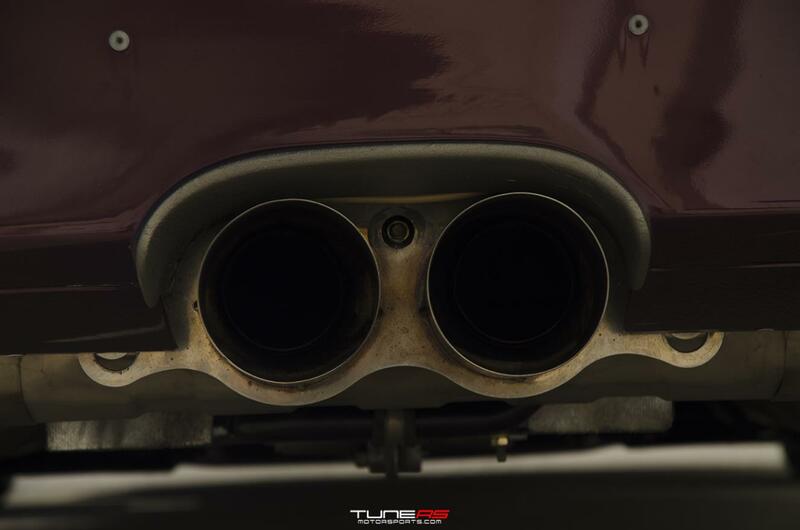 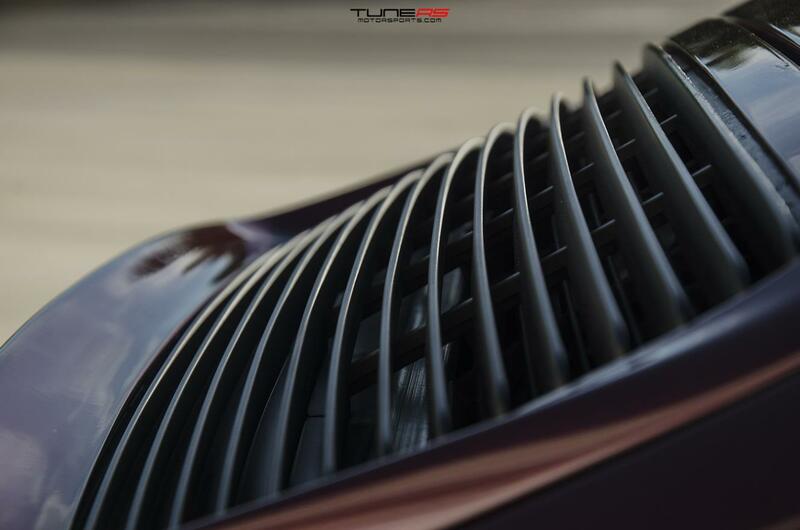 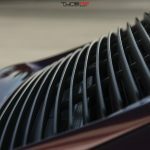 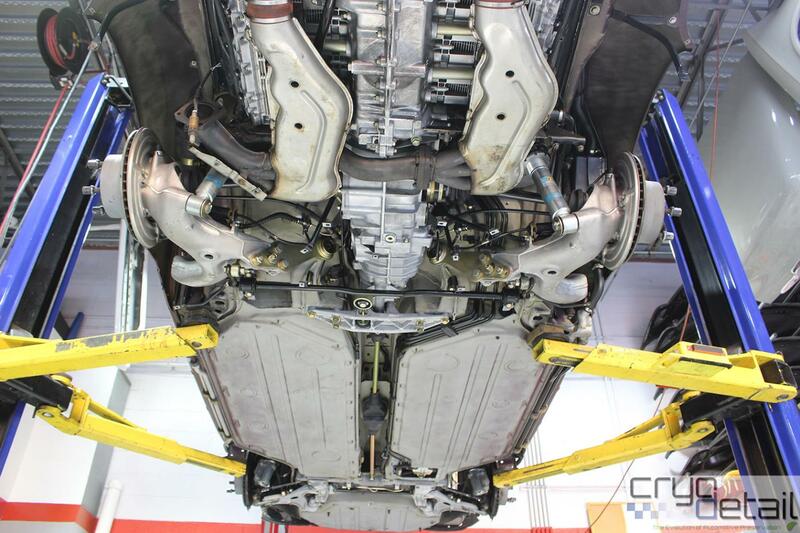 Original 997 GT3 center exhaust muffler installed in loud position for the ultimate flat six sound! 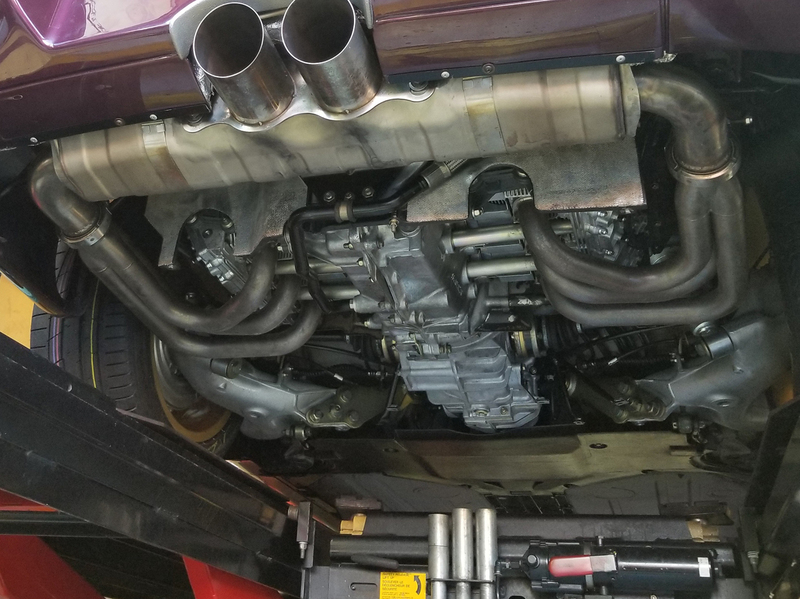 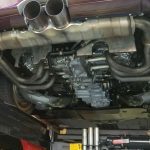 Set of custom exhaust headers, no catalytics or heat box. 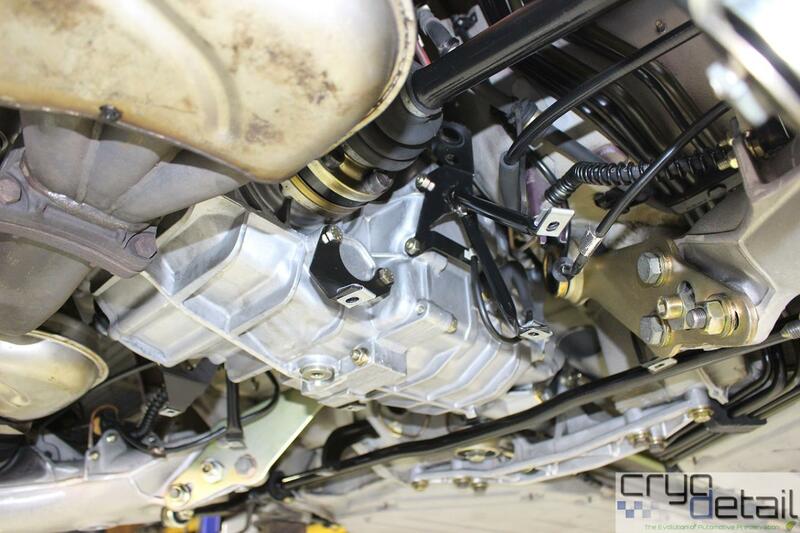 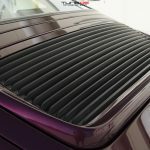 The car also underwent a complete CryoDetail® dry ice cleaning procedure. 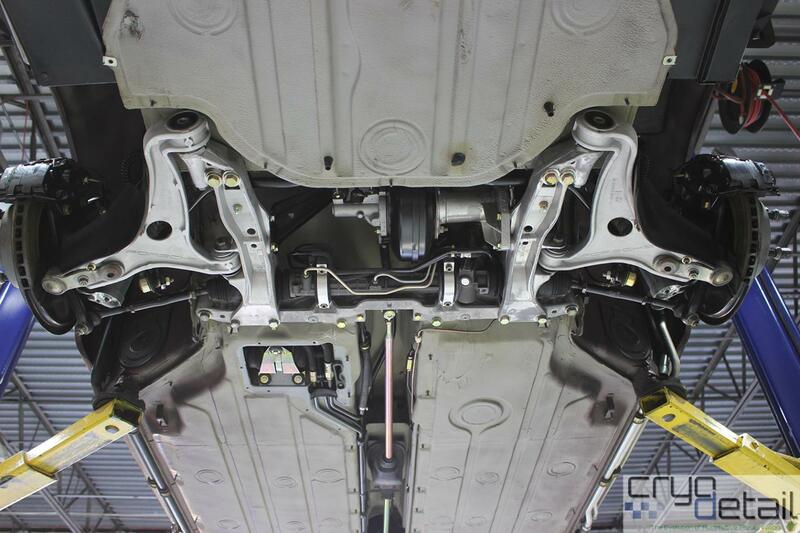 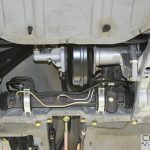 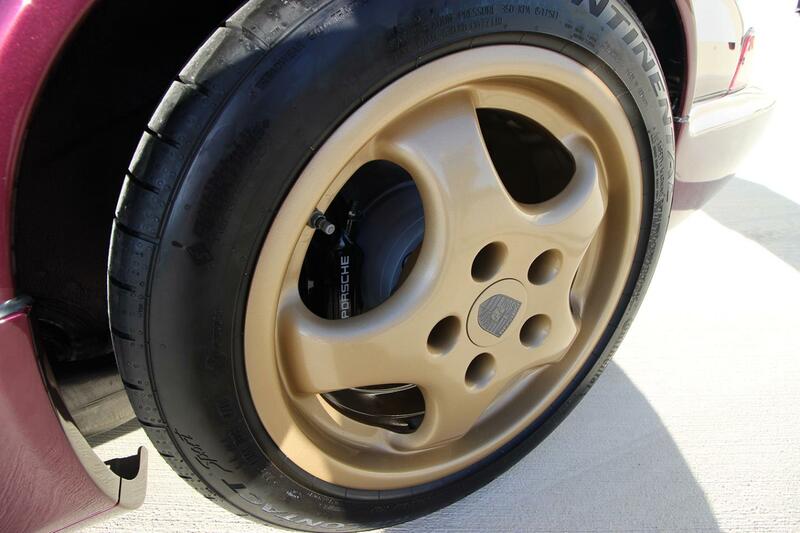 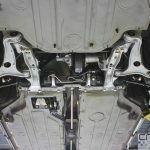 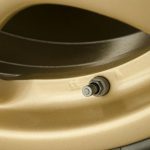 This service removes all of the grime, dirt, debris, anything that may have stuck to the vehicle undercarriage for years and brings it back to a factory-new showroom finish. 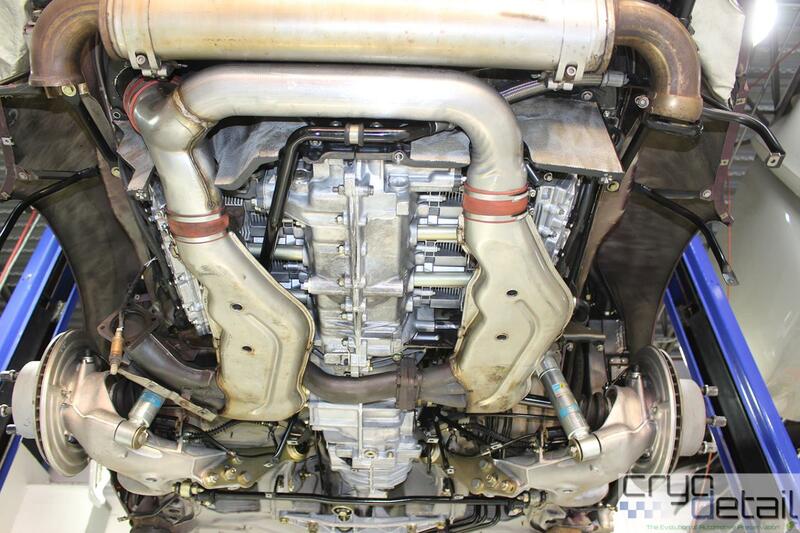 In the Cryo photos shown below, the factory original exhaust is installed.